Hi there! 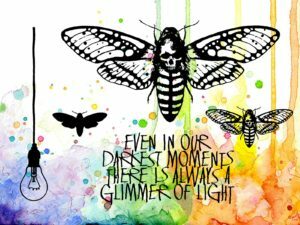 Pauline Butcher is here to inspire you today with a gorgeous plaque featuring our awesome moth and toadstool stamps, with these really inspiring words… ‘Don’t Dim Your Light’. 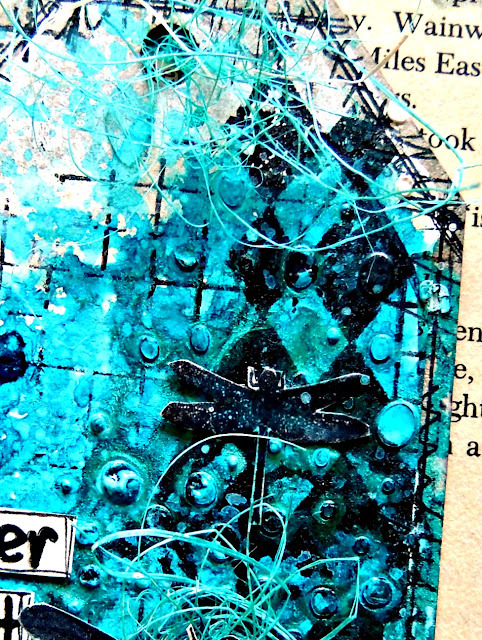 Today I’m sharing a new mixed media project I’ve made, using some awesome Visible Image stamps and stencils. The grey board heart is from my stash. 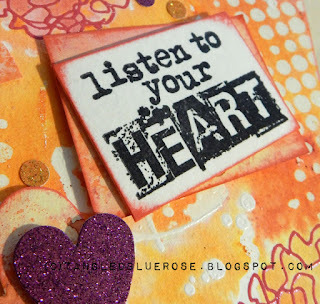 I used some Decoart fluid acrylic paint and some Dyna acrylic paints on the heart, building up the background, and then stamping with some of the background stamps. 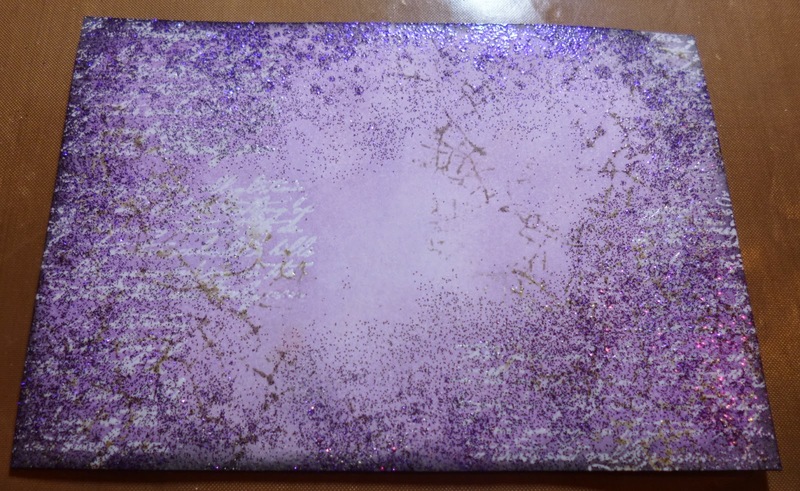 Next I put the stencil on the top, and went through it with gold paste. 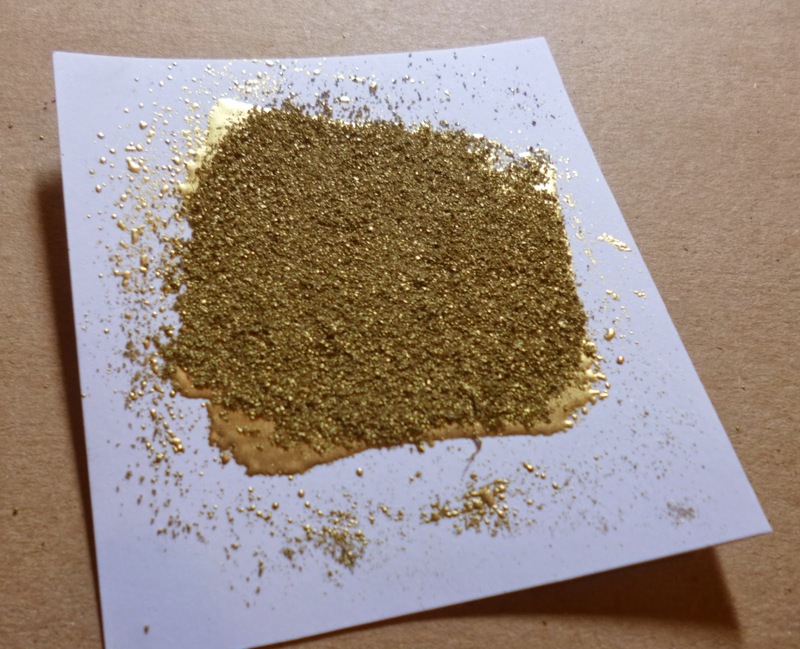 Using Blue/Black Pebeo Dyna paint, I covered the gold paste, but rubbing back some of it to allow the gold to shine through. I stamped the mushroom and the light bulbs on to white card, fussy cut them, then coloured them all using watercolour pens. 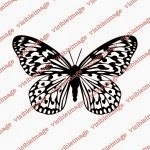 I stamped the moth onto heat resistant acetate using Versamark, then used Wow Black embossing powder. I coloured the moth on the reverse side, again using the Pebeo Dyna paints, and fussy cut. 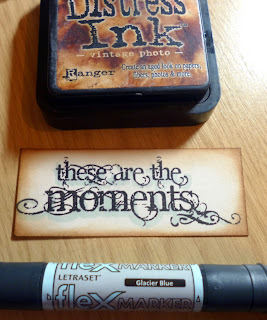 On a piece of black card, I coated it with the Pebeo Blue/Black paint, then chose the words I wanted to use, stamped them in Versamark, and heat embossed using Wow Florescent Blue. 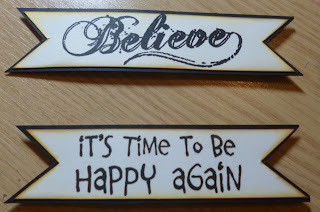 We will be back later with fantastic inspiration from Jane and Heather. 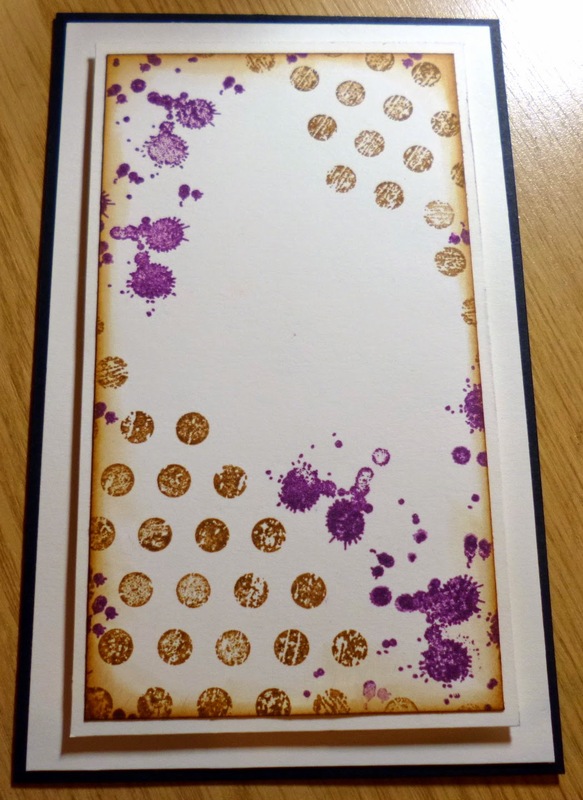 Today I’d like to share a card I’ve made using some of the superb brand new Visible Image stamps and stencils..
Firstly I brayered Picked Raspberry and Salty Ocean Distress Inks on coated card stock, spritzed it with spray starch, enclosed it in clingfilm and left it to dry. 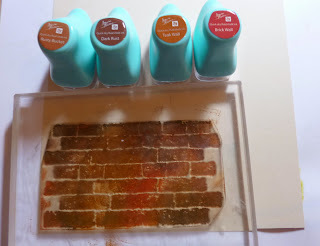 Once dry, I used the Grate-ful stencil, and blended through it with Salty Ocean Distress ink, and edged it with Picked Raspberry. 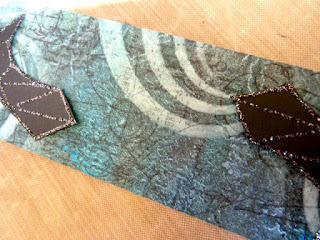 Next I stamped the daydreaming girl stamp, onto this background, using Grey Versafine Ink, then using the smallest stamp from the ‘Set the Tone’ set, and Black Versafine ink, I stamped around the Daydreaming girl stamp, overlapping the edges. On a separate piece of white card, I stamped another daydreaming girl, and my chosen sentiments, but this time using Black ink, I then coloured her using watercolour pens, and fussy cut. 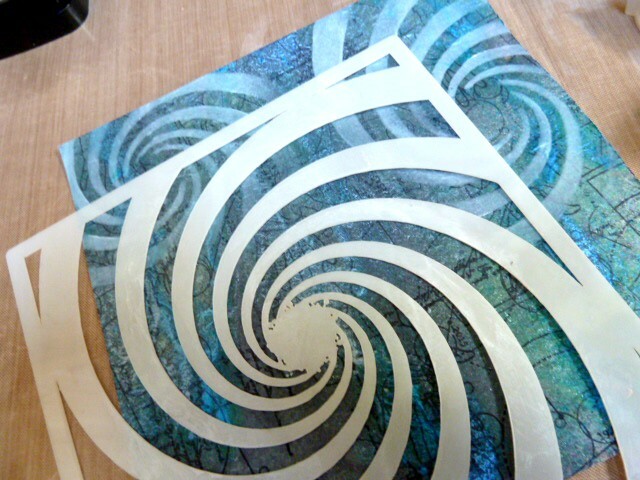 I attached them all to the background card, using 3D glue gel, to give dimension. Don’t you just love her? 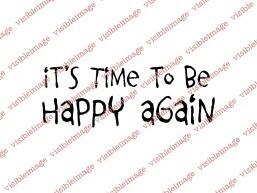 Well I do anyway !!! We will be back later with more gorgeous inspiration! 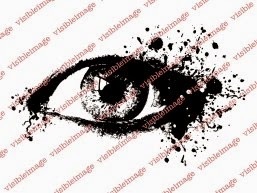 I’m back again sharing not just one but three makes I made for the Visible Image Design Team! Once the prints have dried, you can select areas to use for making your cards. The first print, I cut an area 8×8″ and matted it onto black card stock. 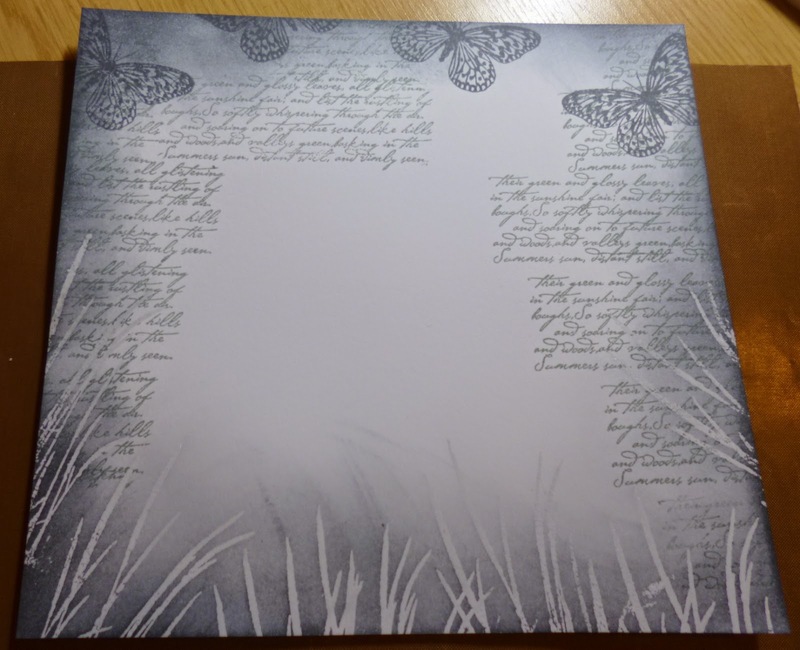 After heat embossing the three butterfly silhouettes in black, I added a hint of sparkle using Ink Splats to add areas of silver and to highlight the main sentiment, which I embossed over the coffee stain stamp. To add extra dimension to the project, I heat embossed the butterfly detail in copper onto Vellum, which is such a lovey, soft paper to use. 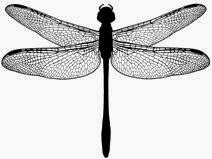 Once fussy cut, I adhered them to their silhouette with their wings slightly aloft. 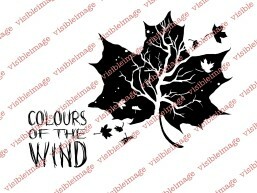 I almost prefer the ‘ghost’ print as I’m not good at putting white space into my makes. 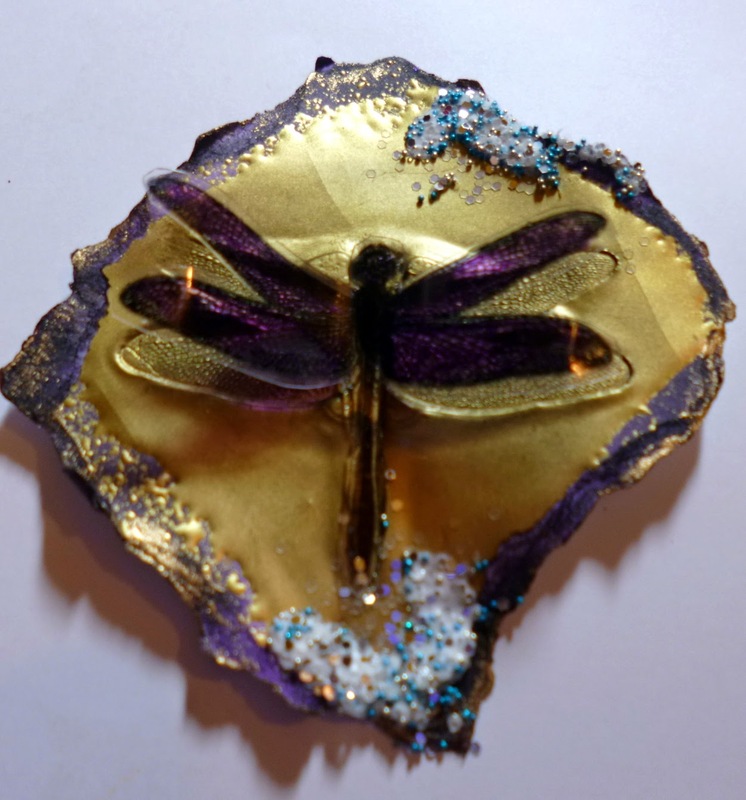 I love the delicate wings on the dragon fly from the Live in the Moment set and his wings look incredible over the background splatter from Somewhere in Time. but this time has the fabulous eye from Where Dreams Take You. 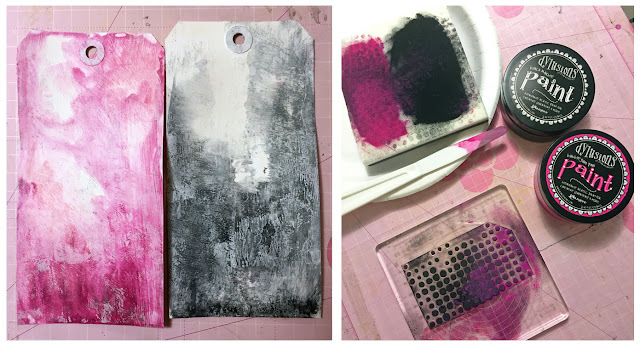 I’m rather chuffed with these makes and I definitely want to explore what my Gelli Plate can do as the textures and layers you can create are very much my style. 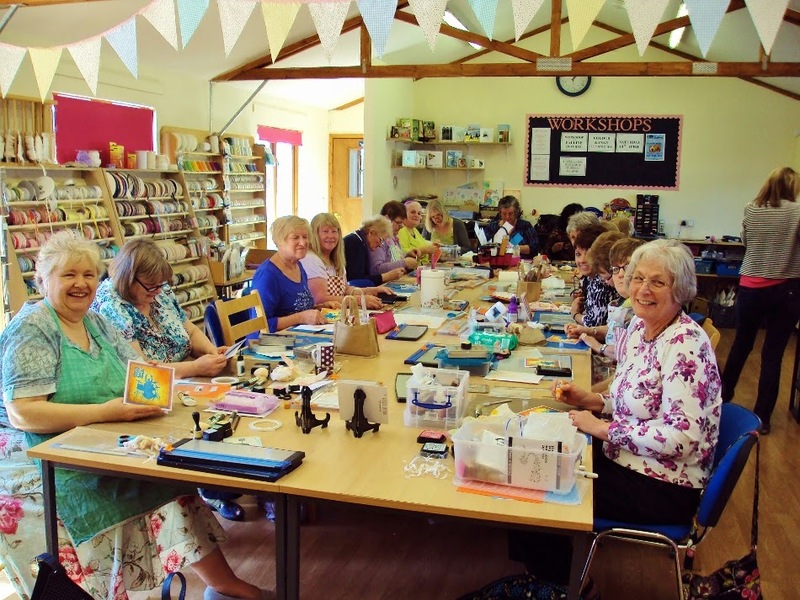 Why not hop on over to the Blog homepage to see what everyone on the DT has been making lately! That’s all from me… have a great week and I’ll see you soon. We will be back with a stunning project from Lisa Taggart later today! Good morning, it’s time for my weekly dose of Visible Image inspiration and for today I can finally share the card I made for my son for his birthday on 24 February. 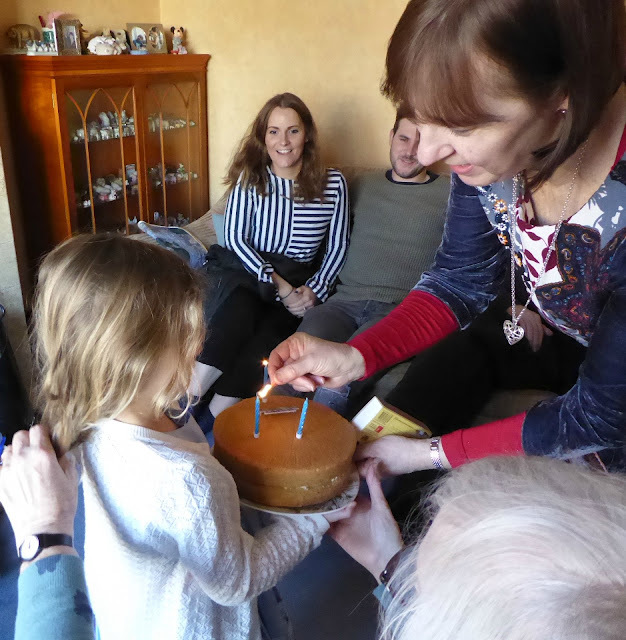 Daisy (my granddaughter) helped me make a quick lemon sponge birthday cake for her uncle (my son is not a fan of cake and this was a version he prefers of my standard Victoria sandwich cake). 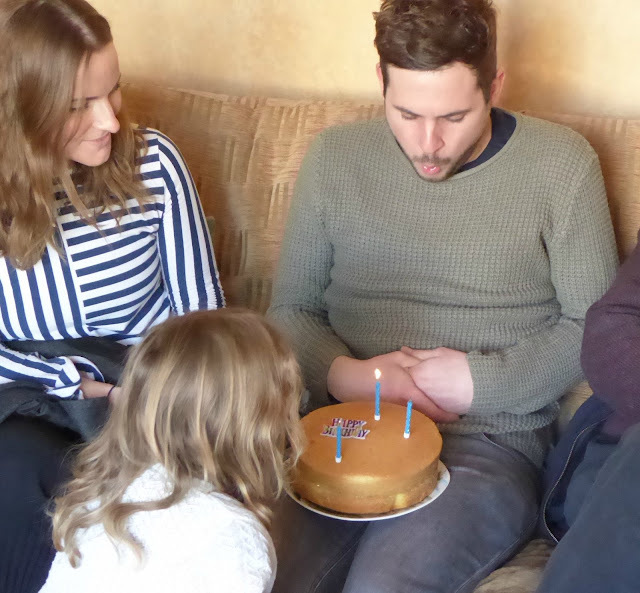 She so proudly carried it in..
and helped him blow out the candles..
We had such a fab day together, special family time. So now to share his card! 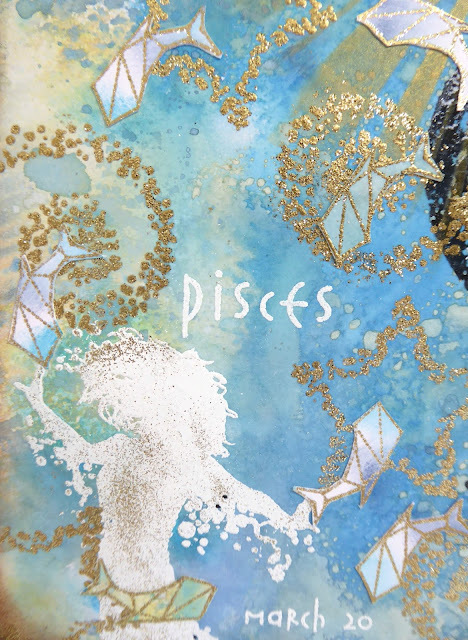 Pisces from the Zodiac collection..
Plus the Time Tunnel stencil.. 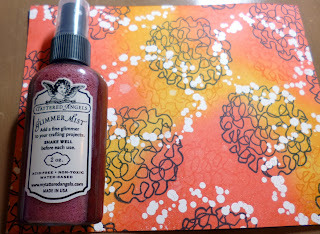 I made my background with acrylic inks plus some Lindy’s sprays which have a gorgeous sheen. It’s so hard to show in a photo taken in the evening when I was working. 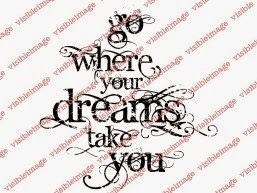 and some stencilling using white ink. 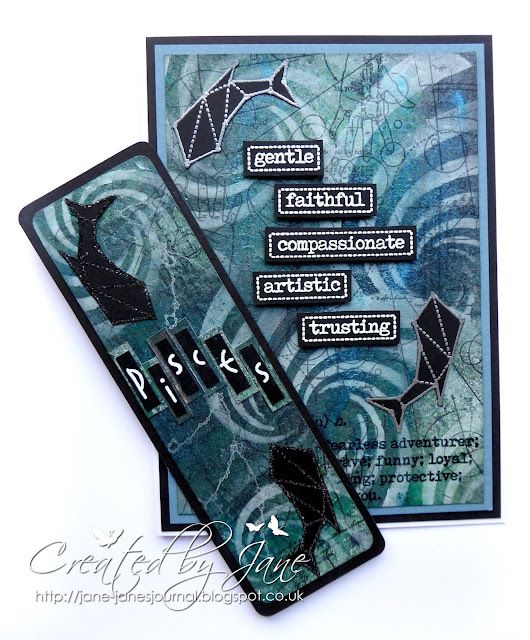 I stamped and embossed some of the fish and all the Pisces words onto black card and fussy cut them out. As I had some spare pieces of this background I also made a bookmark for him. 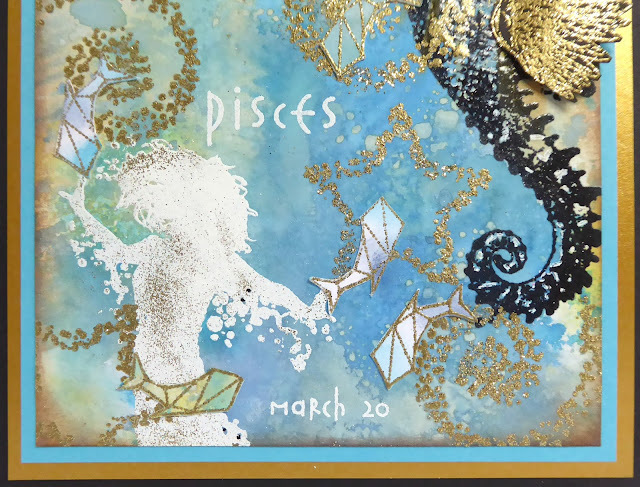 I added 2 fish..
and cut up the letters of the Pisces word and mounted them on snippets of black card..
My daughter is also a Pisces and her birthday is coming up next week, so I will be sharing a very different Pisces card for her next Monday…. she now lives at the seaside, so I knew the just the theme to use. 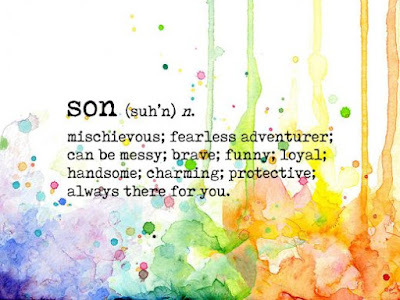 Must dash, I have a sweet girlie to collect…. 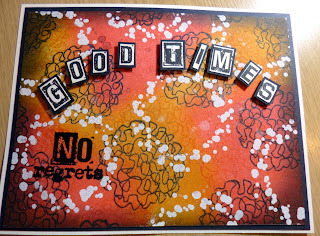 We will be back soon with more awesome inspiration created with our amazing stamps and stencils! Hello! We hope you have enjoyed Day 1 of our NEW stamps previews! 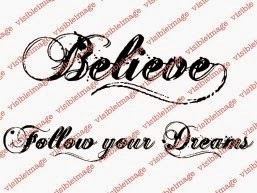 Today is a very special day as I am absolutely delighted to be able to share my first Design Team sample made with 2 of the brand new Visible Image stamp sets which are being previewed all this week! 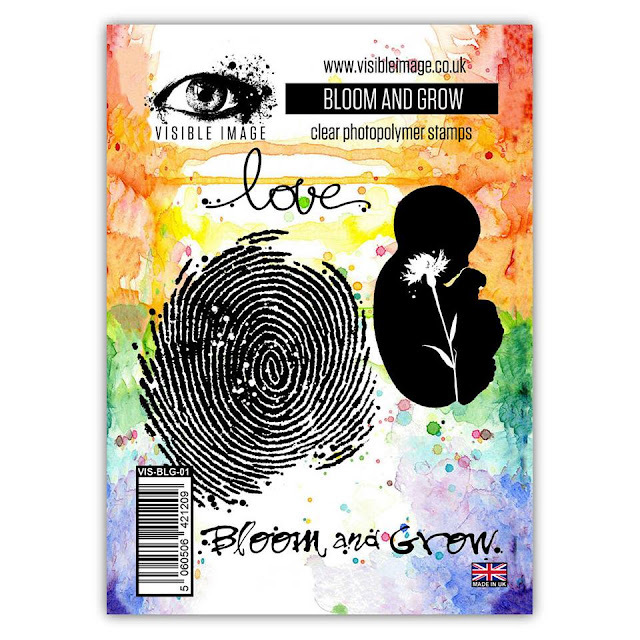 The new stamps are being launched in the USA at Creativation which Helen and Mark, aka Mr and Mrs Visible Image, are attending for the very first time in 10 days time. They will be flying the flag for their awesome brand which I have the joy of being able to design for. The new stamps will be available to pre order from 12th January! Over the last month I have secretly been beavering away working on some of the new designs and I have made several projects with them. I will be sharing them all over the coming weeks. 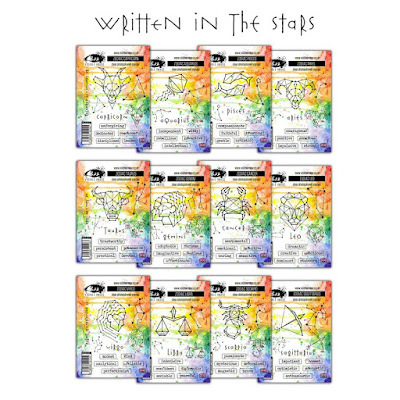 The first stamp sets that I am showcasing are..
Bloom and Grow… an amazing and totally unique stamp baby set, and Organics… a large A5 set which has so many uses. 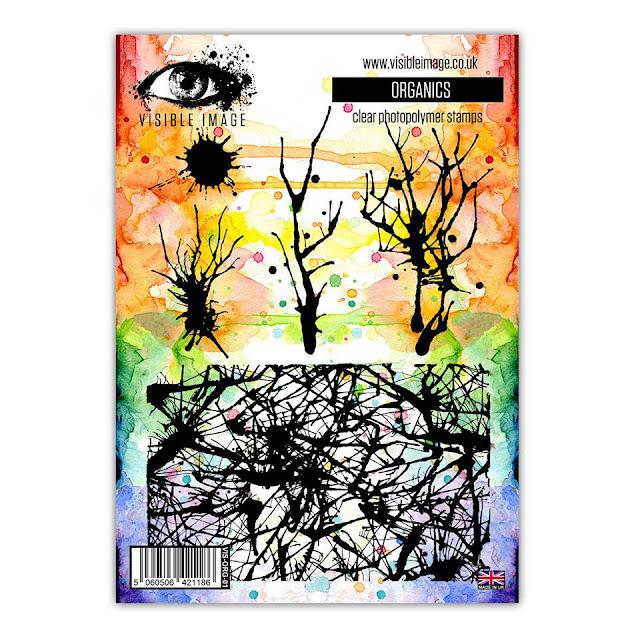 I can see trees branches, twigs, the sky, the seas, seaweed, frost, ink splats and drips…. the list is endless. Amazing aren’t they and so original! These 2 sets work perfectly together and I decided to make my very own bloom and growing flower baby card. First I took some Kraft card and added some walnut stain and antique linen distress oxides, using the wrinkle free technique. 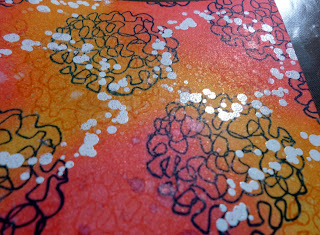 Once dry I stamped the fingerprint in red Versafine Claire ink and then added the love stamp from bloom and grow to make the stalk. 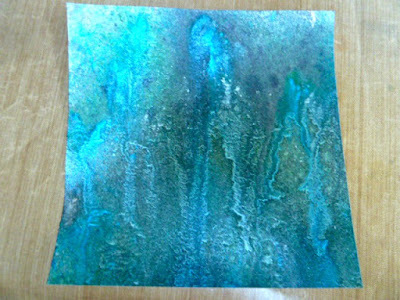 I then used Organics to stamp some more foliage using a mixture of Distress oxides and Versafine inks. 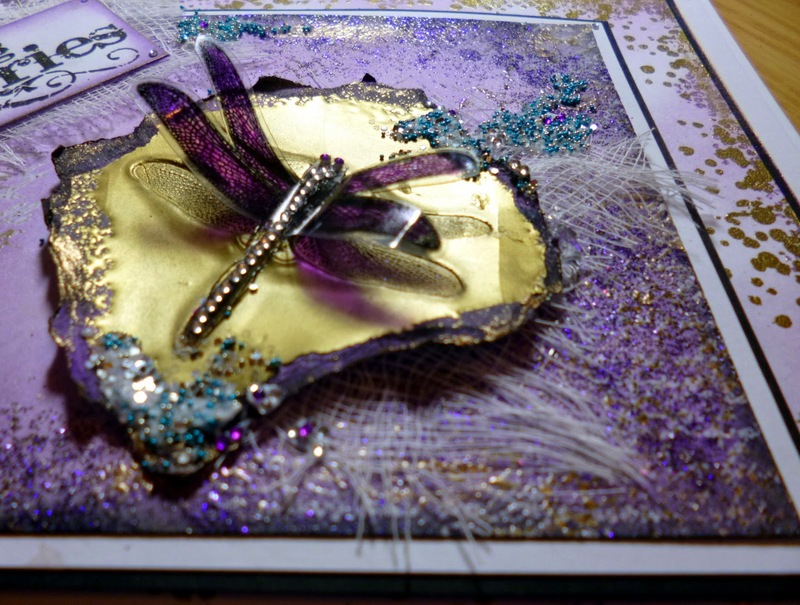 I then added lots of lovely frantage to give some sparkle and texture… and make a very “organic” card. 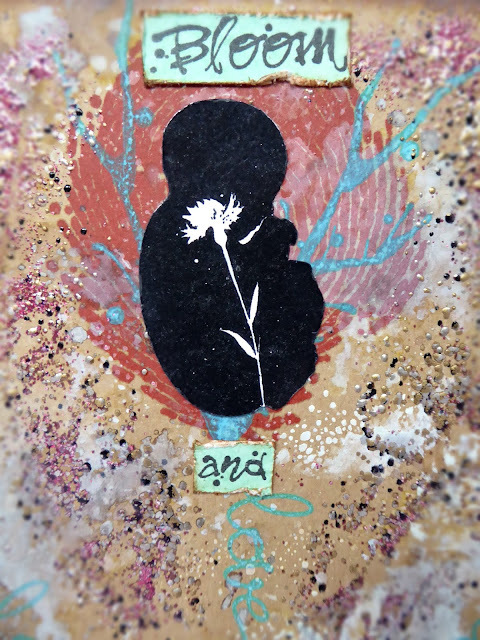 I stamped and embossed the baby and the sentiment and added them to finish off my card. Just look at the details of the baby…. I love the little flower inside …such a fab finishing design touch by Mark. I highlighted this one in white but in other projects I have also coloured it in… the choices are endless. Prepare to be wowed by this awesome new release. 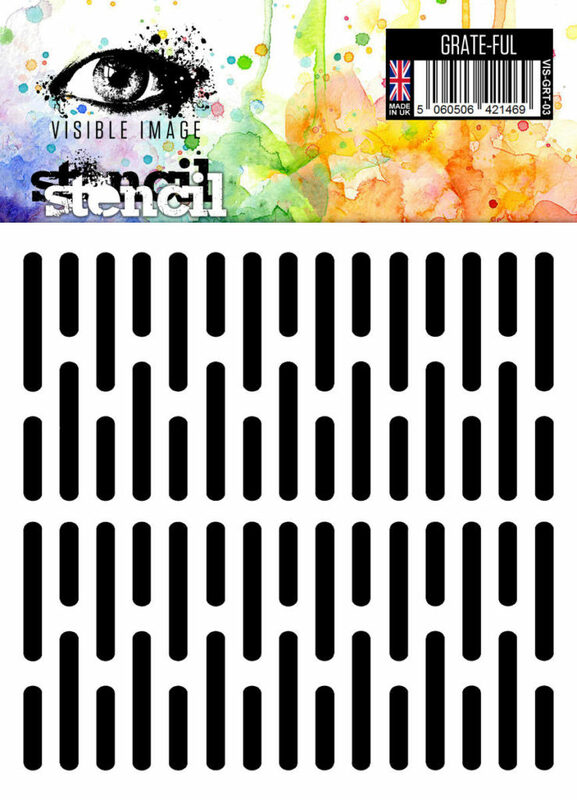 Mark Alexander has, as always, designed the most original, unique stamps, unlike any others you will see in the stamping market. They are a total joy to design with and so versatile. 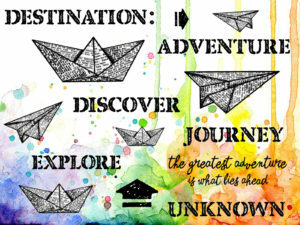 All you need is your imagination! I am so proud that my some of my work will be travelling all the way to the USA to be displayed. 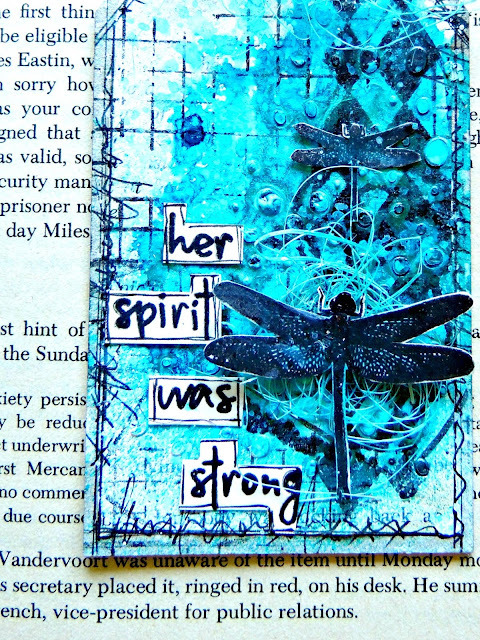 I will be back on Thursday sharing another card sample I made using another set from the new release….. 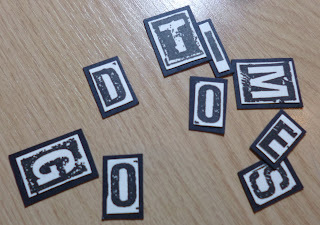 I can’t give you a sneak peek but I will give a very, very cryptic clue to my card…… I will digging out a couple of my old paperbacks to photograph too……. tee hee! Thanks so much for stopping by today. Keep snug, it’s turned very chilly here. We’ll be back tomorrow with Day 2 previews! Hope you can join us! I have been ‘playing’ again and this time I was in a pink mood! I also wanted to see if I could create something using only one colour (and of course black and white). 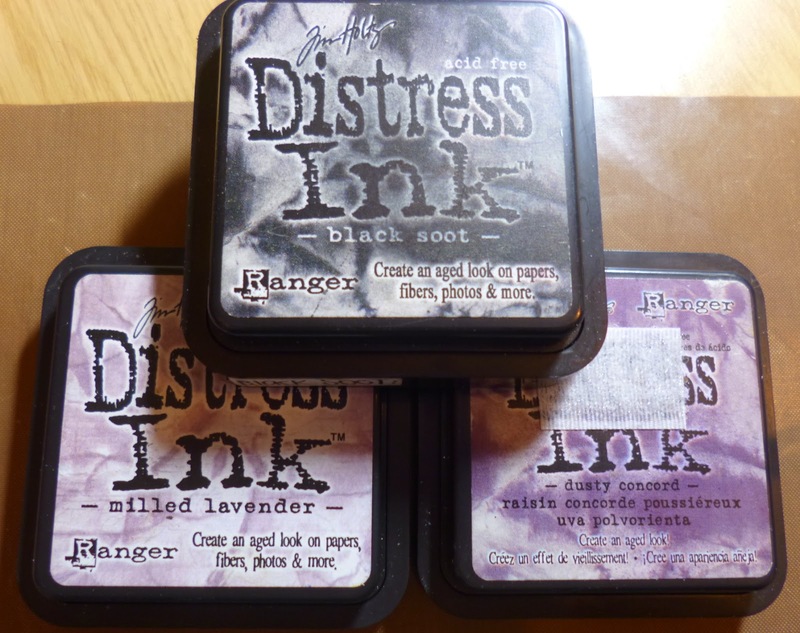 Picked Raspberry is probably my favourite colour of distress ink! and then flicked a little water at it and dried off. 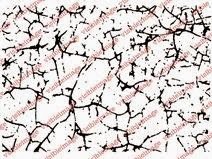 the ripped fishnet from our Mesh-ellaneous set. this gives a much more worn look. (in black also) leaving space for my sentiment and focal image. 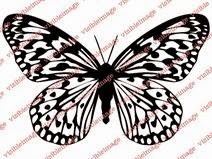 and the awesome inky butterfly from our Own Kind of Beautiful set. Lastly, I flicked some diluted black acrylic paint here and there, especially around the butterfly as if it was spraying off it! and we will be previewing another NEW set from our February release! Good Evening! 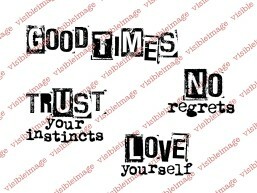 Hope Monday is being gentle with you!!! Today I have a jazzy little card for you using a fantastic silhouette of a sax player, as well as some of the brilliantly versatile background stamps. 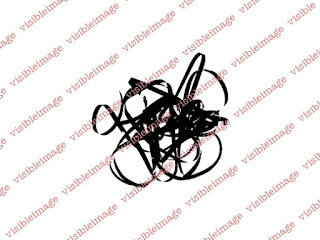 I used bleach – yep, bleach – with the plasma squiggle from the Universal set. Visible Image stamps are made with top quality photopolymer and I haven’t yet had any problem using bleach on them. I do still err on the side of caution and wipe my stamps straight away with a baby wipe and then after the crafting session I wash them in warm water before air drying and storing back in their pockets. We will be back soon with a rather special NEW stamps preview. Hi there! Sorry we didn’t share yesterday’s NEW stamps preview with you… it was a bit of a crazy day here! 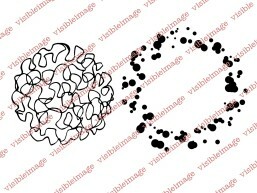 Better late than never… and hopefully worth waiting for… here are some more sneak peeks from our awesome VISOMETRY range! 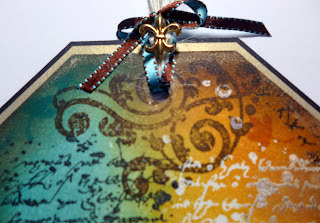 The simple yet effective background is created with Distress Inks, simply blended against the edge of a scrap of card randomly over the cardstock. 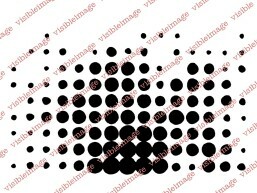 It creates an illusion of stage spotlights and adds movement to the design. 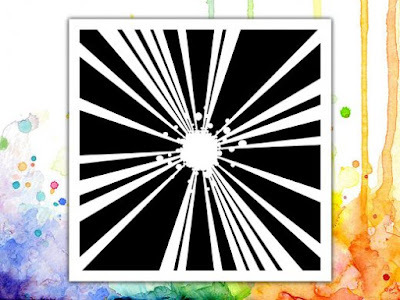 The edge design was created by stamping and embossing part of the swirl stamp (Universal set) in different colours of fluorescent WOW powders. I stamped the drummer and the circles with black Archival ink, then finished with the words (embossed in white on black card) popped up on 3d foam. Thanks for stopping by again, I hope you are inspired to make a purchase or try one of today’s techniques. This is awesome! 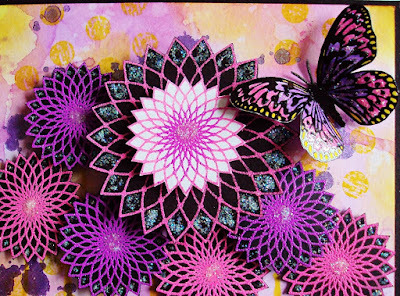 Thank you Teresa ♡ Amazing background.. such a cool and funky card! Have you got your hands on our fantastic music stamps yet? 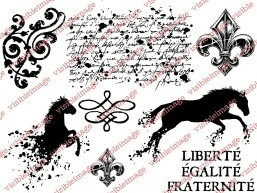 Our Universal backgrounds set is brilliant too!!! Good Evening 🙂 Thank you for coming to visit our blog. We have a few brilliant tutorials to share with you this evening! 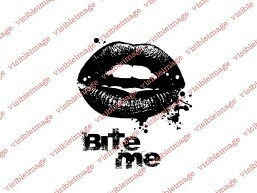 So I was playing with my stamps and I remember the gorgeous lips in the Bite Me set so I decided to have some nice bright lips on a grey background. Electric blue lips would look so good here too but I chose to go for red and glittery! 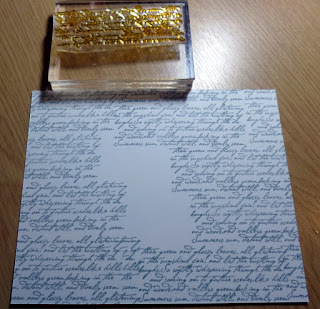 So here is the card…. And of course me being me I added some vampy fangs in there haha.. 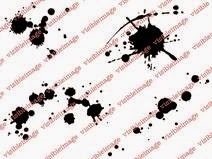 I really do love backgrounds like this which I created with just a few greys and a black soot blended edging. You can do this with almost any colour tone on tone to make it have the same sort of effect and then just one pop of colour makes the picture really stand out. 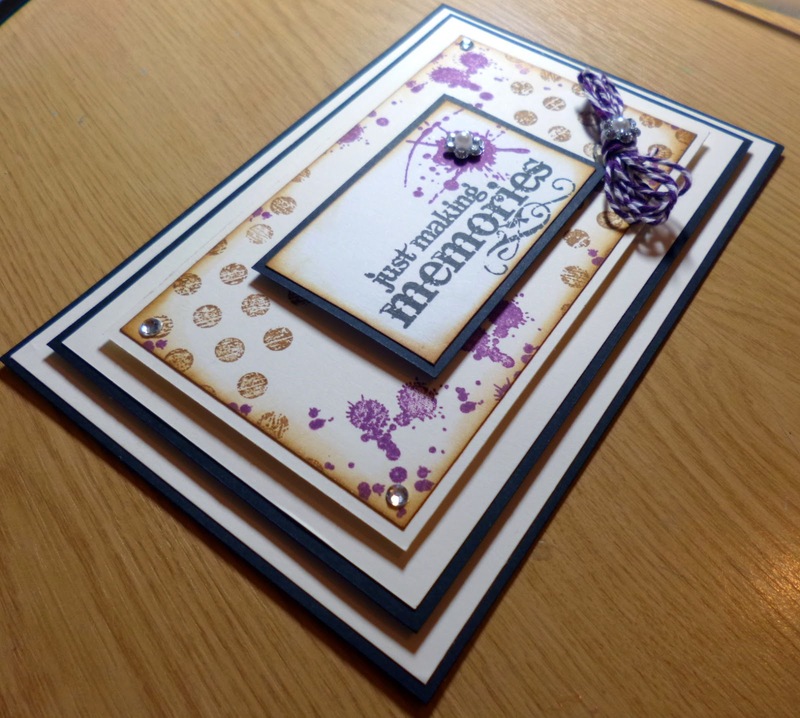 To start I took a piece of white card and used some grey flannel momento ink and stamped with the Bronte script stamp which everyone knows is one of my absolute favourites, no need to cover the centre as we will be covering that up. Next I used the same grey ink and a piece of cut and dry to bend in the edges a litte along with a little weathered wood and some London fog ink from momento too. I did go back and add a tiny bit of the black much stronger around the very edge as it really make it a stand out. I set this piece aside for now. 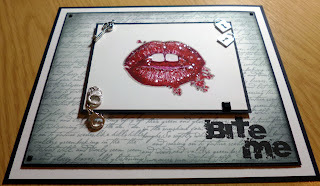 On a smaller piece of card in red momento dew drop ink I stamped the lips and using several distress pens and a black pen and a white gel pen I added all the shade and highlights from the lips.. 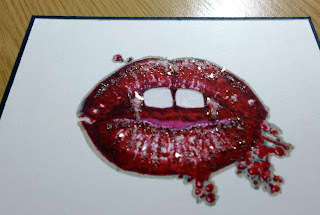 I drew around the edge of the lips in grey to make them stand forward and added some fangs on the edge of teeth. 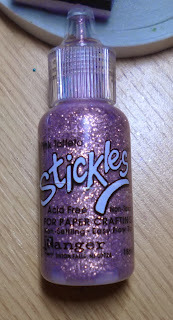 I took some white glue that dries clear and added some glass glitter with shards of glass very finely cut but so very sparkly just on the lips no where else. I also matted that piece on to a thin black mat of card. 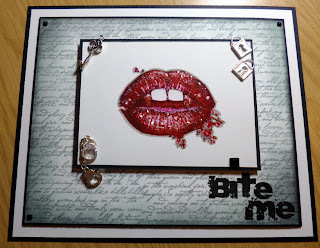 The backing piece was also matted onto black card and I added the words that came with the lips which was simply “Bite Me lol”. I used back archival ink for that and got a nice dark image. I gave the whole back piece a mat and layer in black and white with a little foam under to raise the centre up just sightly, then I was ready for the centre to be added to the card with thicker foam. To finish it all off I simple added the dot to the I with a square gem some tiny hand cuffs that dangle so cute plus a couple of locks and a key and lastly some shiny stones in the corner. 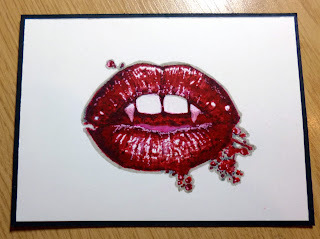 Here are some other images of the now finished card, the time that took the most i used to get the lips shaded perfectly with several different distress ink pens. 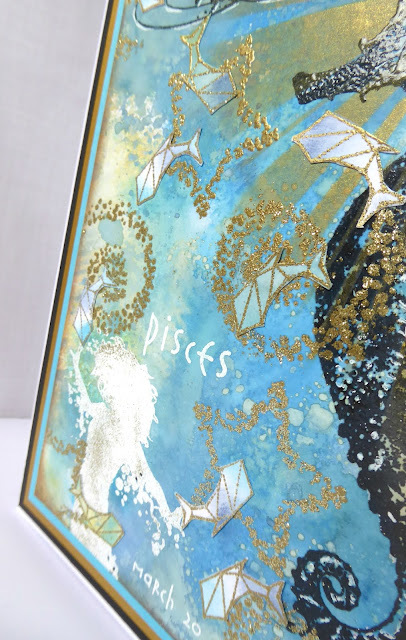 I chose this angle so you could see me how the little items help play a part in the role of this card and how embellishments can help really theme a card. Lots of love for today my friends. 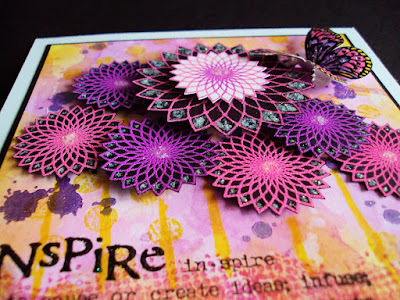 Such a great card.. and thanks for your fantastic tutorial Kim! Love the glossy red lips against the grey. 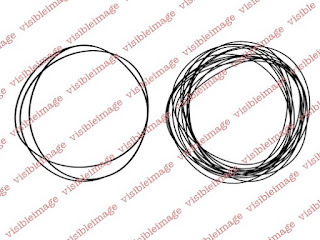 What could you create with this awesome set? Get your hands on it HERE! Good Evening 🙂 Thank you for stopping by today. 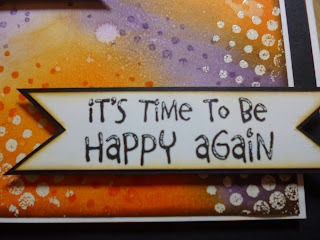 Hello again and thank you for coming by to see what I am sharing this week. 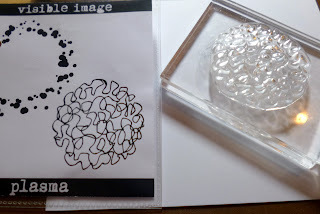 I have used some of my fantastic Visible Image stamps to decorate a plain and boring picture frame that I picked up in a charity shop. 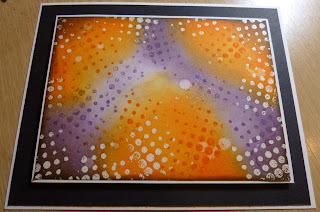 I coated the frame with black gesso to give a good base for the decoration, then used some clear texture paste and a stencil to add some detail in the corners. 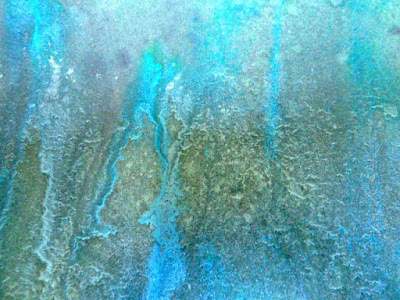 Once this was dry I used blue and green gilding wax to highlight the stencilled areas. I also added some gilding wax around the aperture. Now I could get my stamps out and have some more fun! 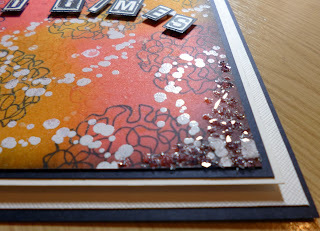 I used the Grunge Flourish stamp and crackle stamp (from the Time after Time set) all around the edges. 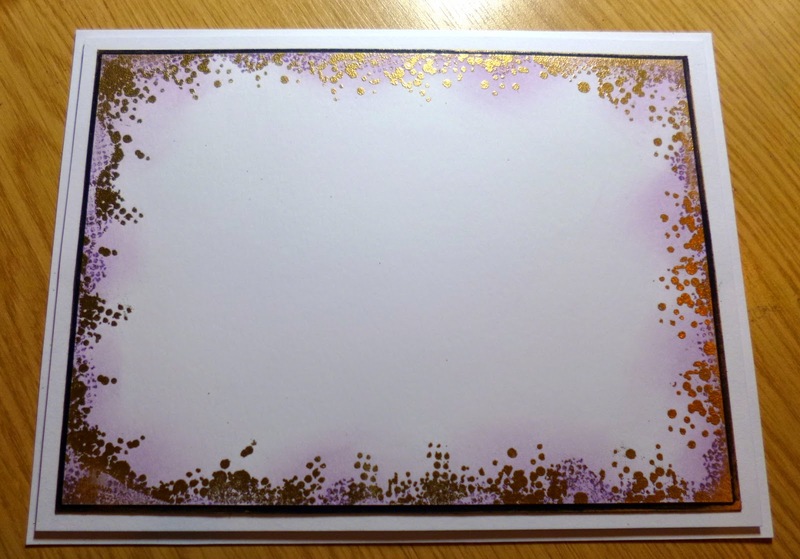 I stamped them with Versamark ink and used gold embossing powder. 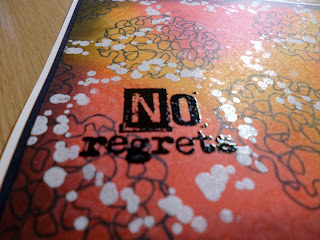 Then I stamped and embossed the words in the remaining spaces. To finish I added some gold mica flakes in a couple of areas for extra sparkle. 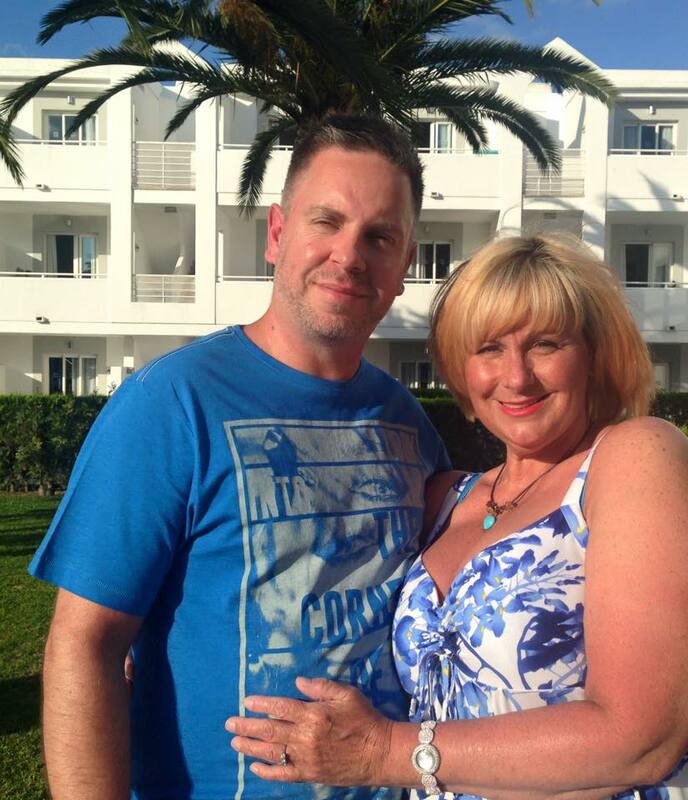 We will be back tomorrow with our Fabulous Friday post from Pauline Butcher. Good Morning 🙂 It’s a dull wet day here in South Wales today… come on summer don’t be shy! 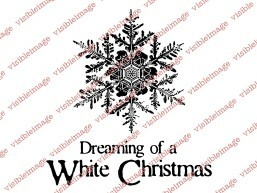 Today I have another card using the fab Visible Image stamps. It is something quite different, I wanted to use the amazing Vision Inkognito stamp in this one and this is what popped into my head.. 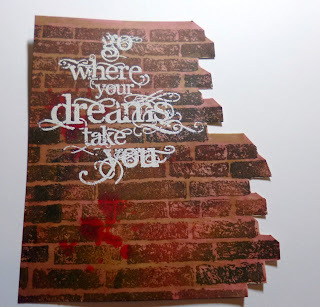 I started with the broken wall, I stamped the Brick wall background and cut out the left hand piece . I used some prima inks in varying brick/ reddy and brown shades to create my wall. 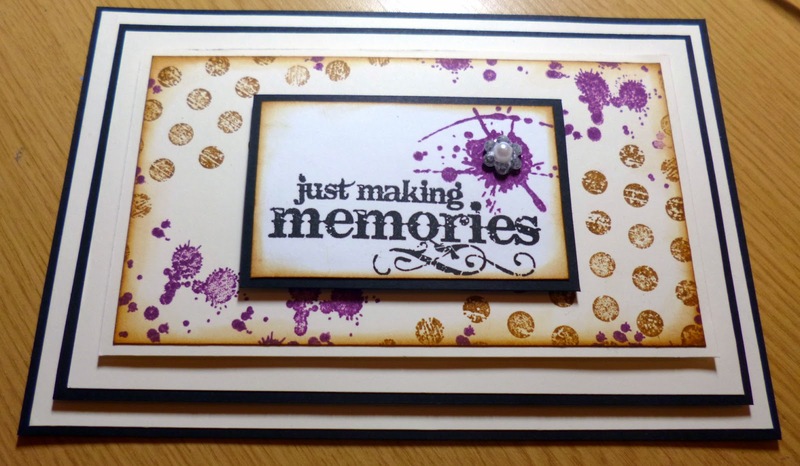 This fab little stamp repeats so you can create a wall any size. 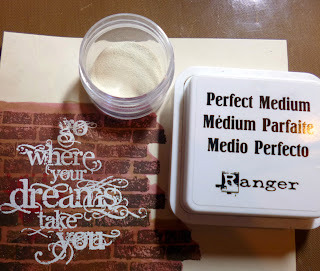 Once dried I stamped in Perfect medium on the wall with the sentiment Where dreams take you in white embossing powder and heat set. I cut out the wall at this point a note to remember when I was doing the mortar in this wall with my promarker I also decided the way the light would catch the wall and I also added the direction of the 3D aspect to the top and side of the wall. I added two layers of foam to the back to raise it up away from the eye peeking out from behind it . 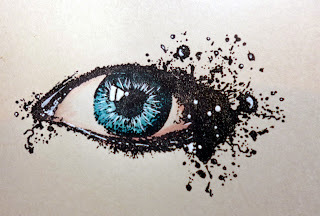 I then stamped out the amazing Vision INKognito eye and added some blues to the Iris and some feint brown to the white and some white in for the highlights and to catch the tiny lines in the iris also. This is the colour of my daughters eyes actually almost to a tee. 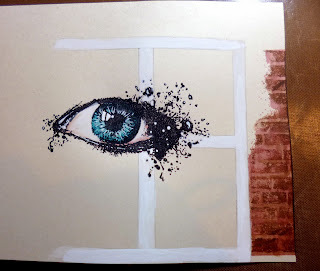 I added a little more wall to the Right hand side and painted in a window frame to the centre behind the eye. I used a grey and a pale blue to add into each window pane and just literally drew around the edge of each panel with it. I added my left hand piece of wall raised up on foam so the eye peeped from behind it. I also mounted the whole piece onto a black mat at this stage, I left a gap on the right by the window as I want to add some flowers climbing the wall. 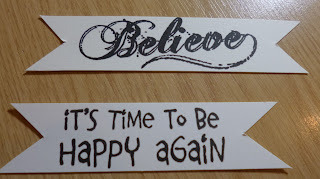 I stamped out my second sentiment and inked the edges I also used some blue flexmarker to add under the words to pull then forward. I added foam to the back of the sentiment and placed it above the window leaving room on the right for the leaves and flowers to grow up around the window. I drew in some little wisteria type flowers hanging on the wall before I started adding the leaves and little wire stems twisted into little spring shapes I also added some little stamens which I used upside down to look like little hanging flowers. I used some pink stickles on the hanging flowers and the inside of the little frosted flowers and on the card in varying places too. So I took this angle shot so you can see which parts were raised and which were flat, lots of dimension, very different too. Here is the complete picture again. They truly are such gorgeous little pieces of art , each and every one of them. So what are you all working on right now? Have a great night and I will see you next week. Thank you Kim for yet another awesome tutorial 🙂 Great to see your ‘vision’ come to life! It’s a fantastic piece of art! 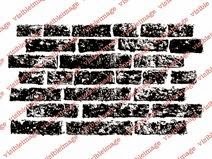 Doesn’t our brick wall look so real! 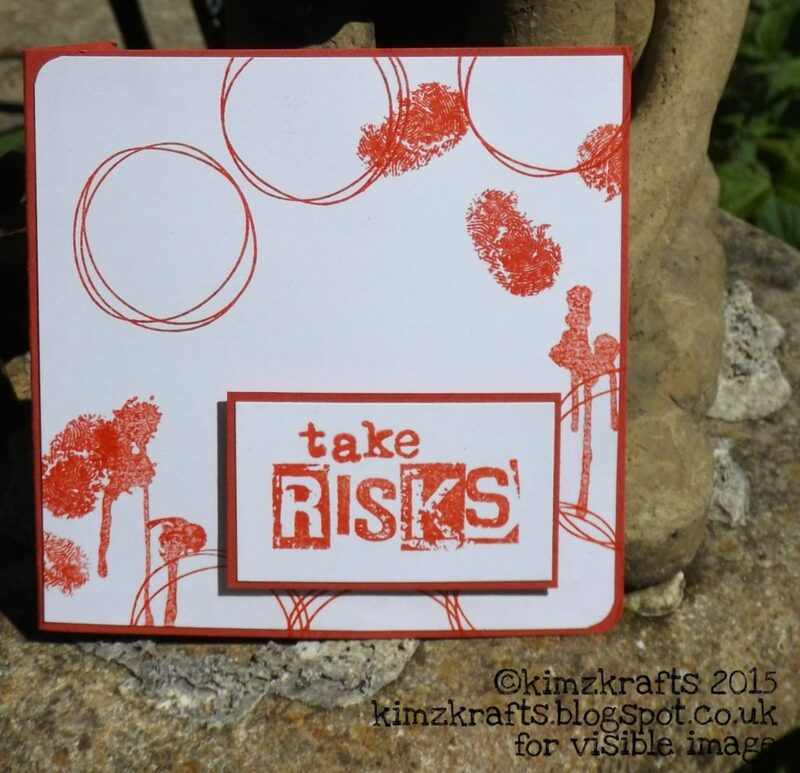 You can find more of Kim’s fabulous work over on her blog. Pop back later to see what Teresa has been up to! Tomorrow we will be heading to Port Sunlight for our very first time exhibiting at the Happy Stampers show! Really looking forward to it 🙂 We are all organised and ready so we shall be having an evening off tonight! Yay! Spring has been a mixture of of bright sunshine and stormy showers in the UK, so I wanted a splash of bright colour in my craft projects to cheer up the gloomy mornings. 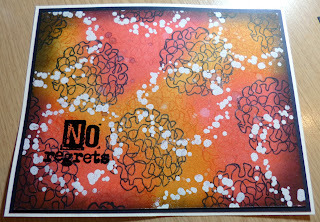 My first card features the beautiful Woman INKognito stamp which I have teamed with two of the newer stamp sets, Drag and Drip, and Leave Your Fears. 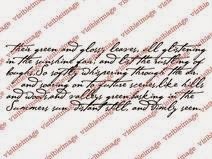 I stamped the woman with three shades of Distress Ink, offsetting the design each time. 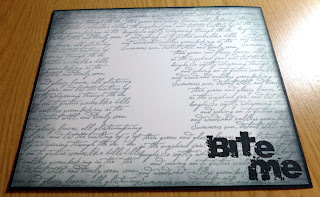 Then I stamped her with Versamark and embossed with black embossing powder. 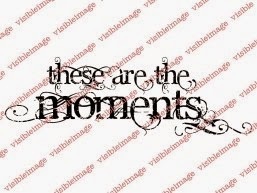 The sentiment was stamped with black Versafine ink. I felt that something was needed at the top, so used one of the Drag and Drip stamps to create a corner in black and pink. 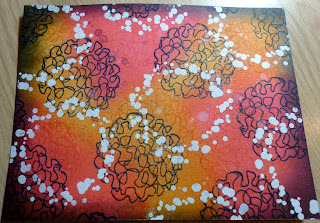 I stamped the star from the Universal set in Mustard Seed and Peacock Feathers Distress Ink randomly over the card front. 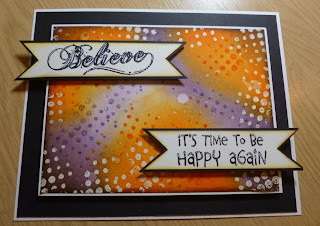 The sentiment is stamped with black Versafine and matted onto yellow card. I added a Prima gem to the centre of the ‘O’. Don’t forget that there is still time to enter the DT call, all the details are HERE. Two fantastic cards from Teresa. Our Woman INKognito looks stunning… don’t you think it looks like her aura is glowing? 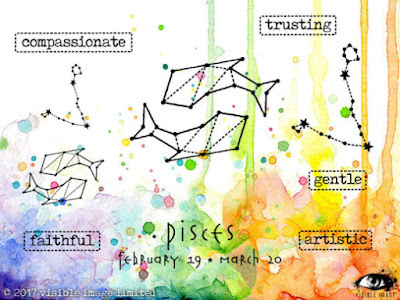 Gorgeous colours <3 The sentiment on the second card is so beautiful, and goes perfectly with the stars. 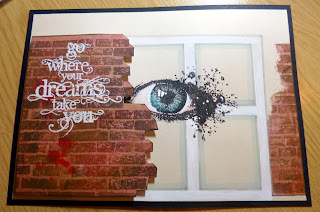 You’ll find more of Teresa’s brilliant work over on her blog. Thanks so much for stopping by and checking in on our little blog. Well April showers hit us at the beginning of May that’s for sure but I am hoping they don’t stay for long so we can get back to our spring weather we had just started to enjoy. 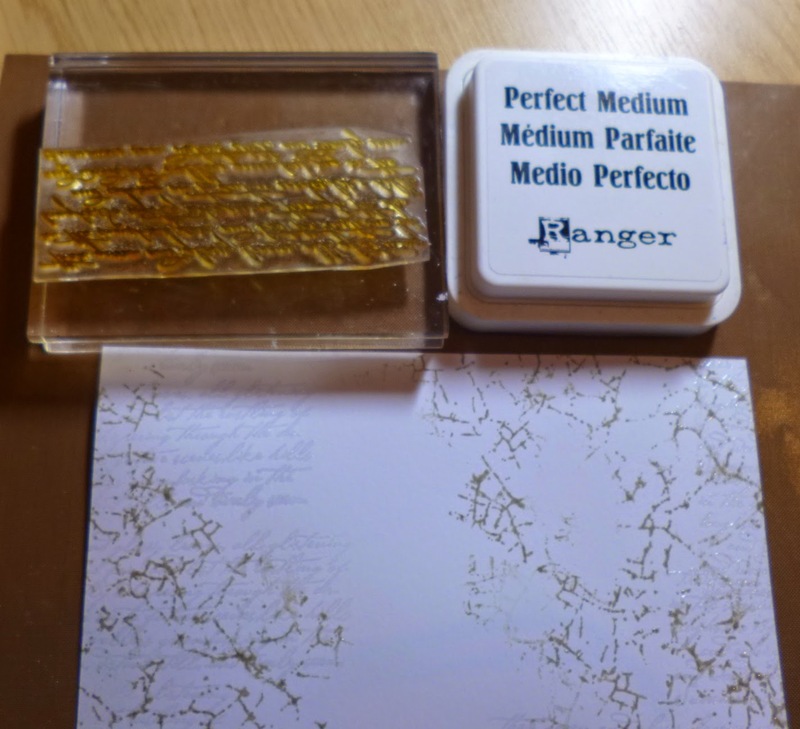 Today I have lots of pictures and quite a busy card with lots of stages so definitely not a beginner card, it does however utilise that technique I showed you all a couple of weeks back where we melt the UTEE and stamp into it rather than set up and use the melt pot for one stamp impression. 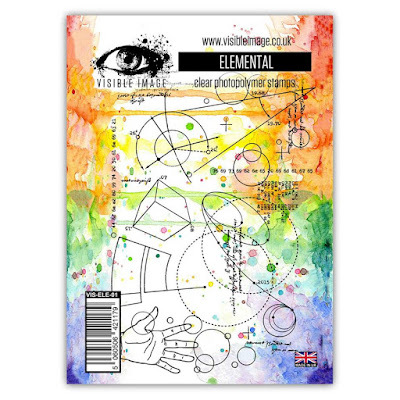 Here is today’s card for the fabby Visible Image I hope you all like it and would give it a go, or if it is too busy feel free to simplify it and give it a go with what you have or prefer to use. This one has lots and lots of texture and movement, I really enjoyed putting it together and making the backgrounds from a blank white piece of card. 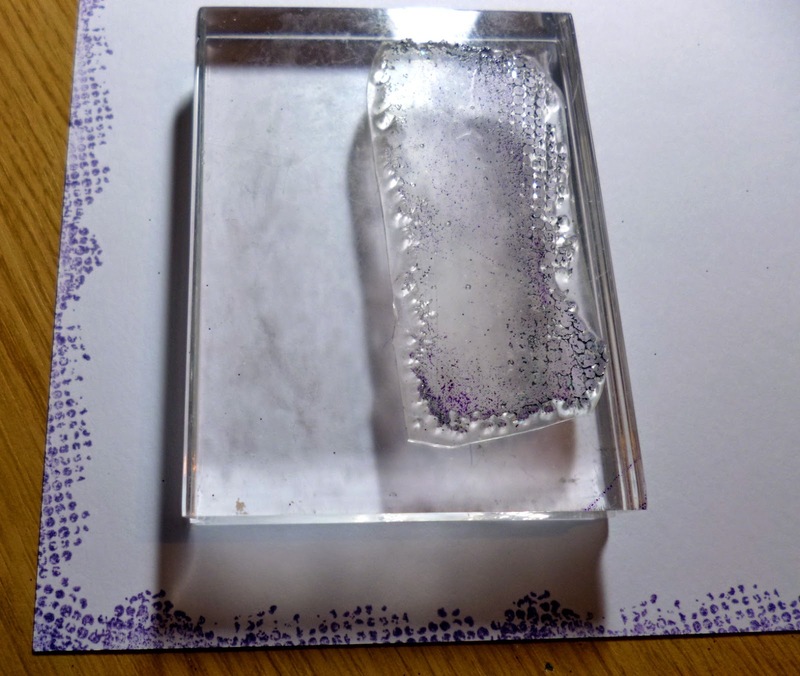 I took the Crackled background stamp with some Pebble ink from Ranger and stamped randomly with the stamp in my hand and not on a block so I could add bits exactly where I wanted them I left the centre more clear than the two opposite corners. 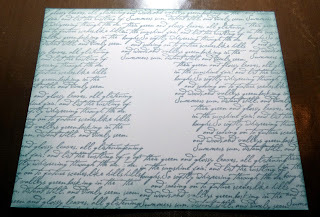 Next I took The Bronte script stamp and added some again random areas of stamping which you can just see on the top left of this image above, I embossed this stamping in clear embossing powder to allow the white of the card to show through whatever we did on the card. Once the stamping was this far I took milled lavender Distress ink first and subtly blended the inks into the centre then I brought the darker colour of Dusty Concorde in and really worked the colour into the embossing which we did earlier, which really makes the embossed writing stand out on this bright purple. I also used a little black distress ink on the very edges. These are the predominant inks on this card. 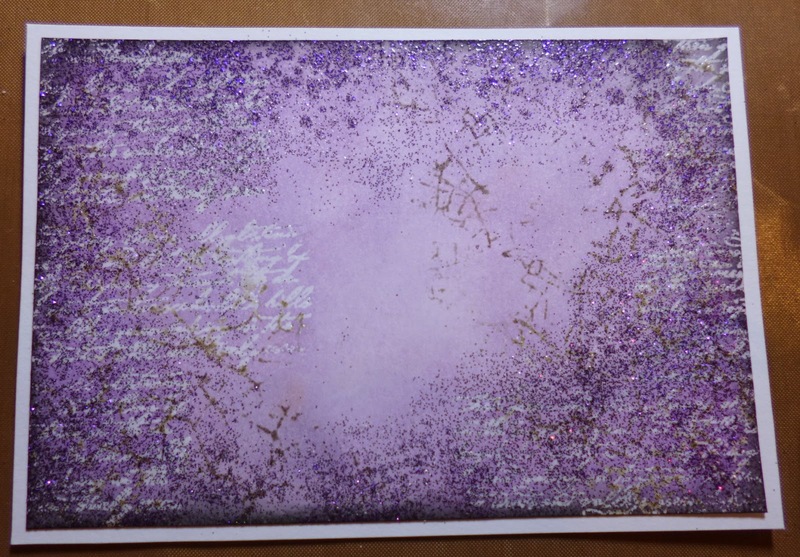 I took the Edgy set of stamps next and some versamark ink for embossing and added the stamp impressions around the edge of the card, I then used some sparkly purple and clear embossing powder to give the card a lot of brightness and glamour. I matted this piece onto a piece of white card and set aside for now. I took the smaller of the two stamps from the Edgy set and the same Dusty Concorde ink and stamped around the edge of a larger piece of card to use as the backing piece. 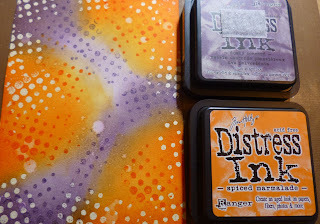 I went back around with the larger of the two stamps in the Edgy set and stamped over the purple with versamark embossing ink and then used gold embossing powder Once I heat set it I matted it onto a piece of Black card with a very small amount showing. 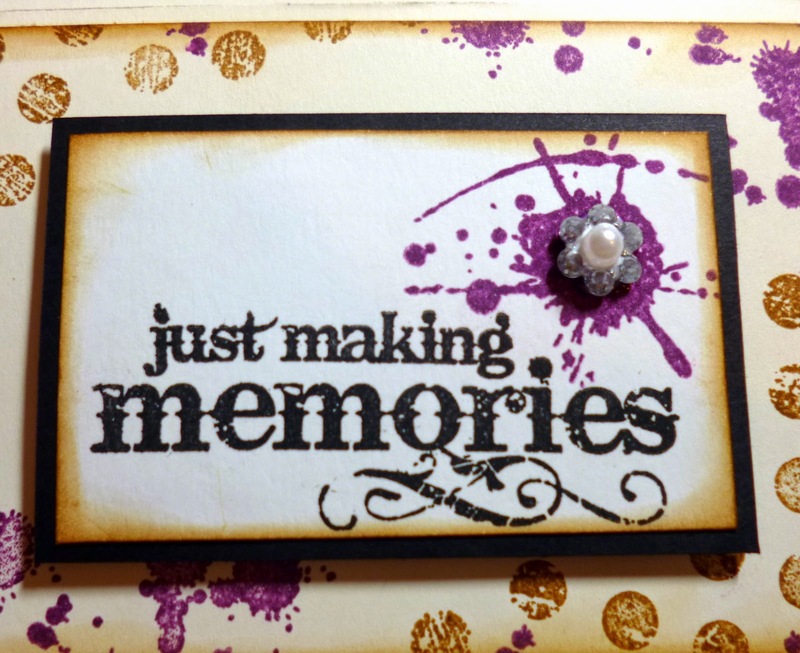 I stamped out the sentiment I wanted to use, called Just Making Memories which I love and coloured the piece to match the card of course, I just love the font on this sentiment, it reminds me of writing in an age long gone for some reason. 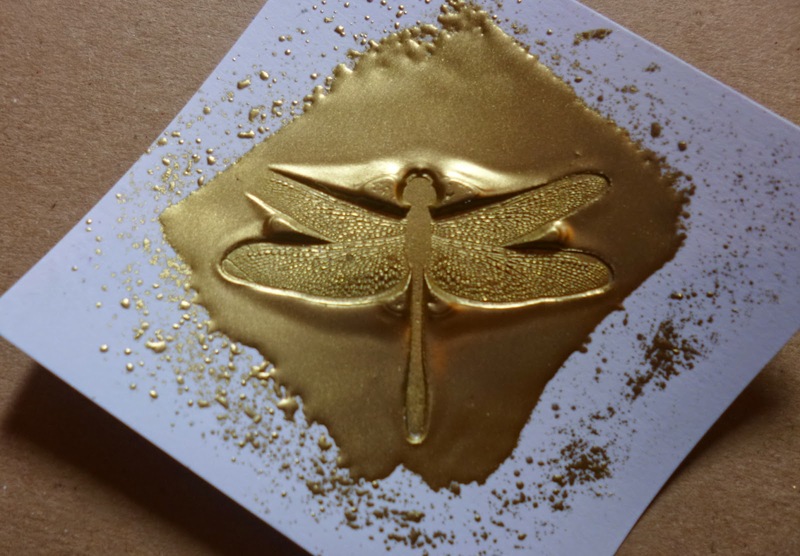 So next to recap on what we learnt a couple of posts back, I rubbed some versamark ink on a piece of card and tipped on some Ultra think embossing powder, I heat set from underneath, not only does this create a much smoother surface to stamp into but it also means the utee granules stay put as they are inclined to fly all over the place if you try to heat from above on the first couple of layers are the slippiest I’d say. You can do as many layers as you want but I find 2-3 is ample as it will snap when cold unless you melt some flex in with the utee. Once I had enough layers I inked my stamp with more versamark this time to act as a release agent after we press our stamp into hot melted Utee. Move quickly and if it starts to set too quick or your image slips etc that ok just reheat all the UTEE and re stamp the image again. 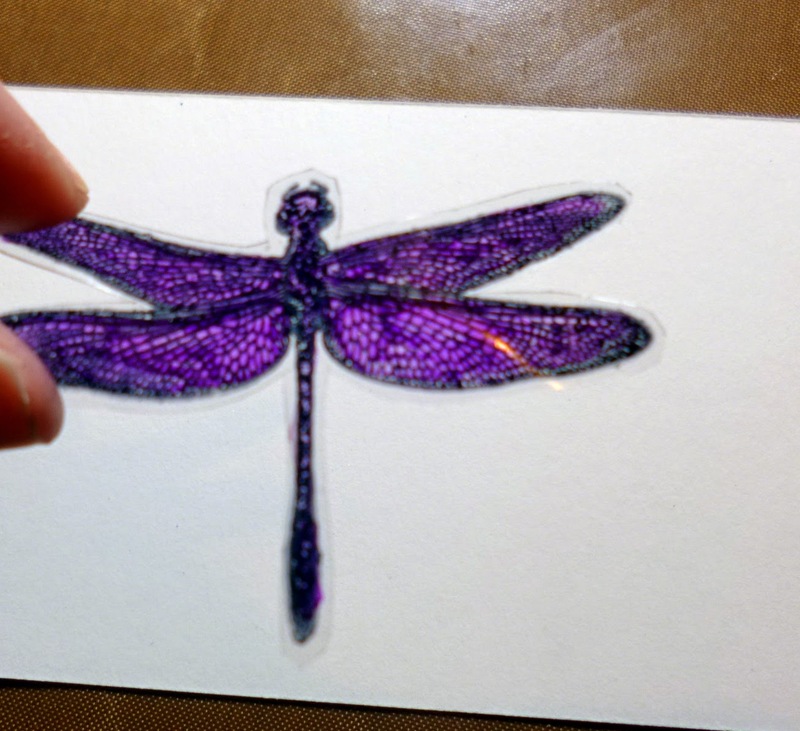 So here is the dragonfly stamped with Staz on ink on acetate and cut out, then coloured with alcohol markers on the back of the image not the side with the staz on. I then cut it out carefully around the edges and bend up the wings into position. 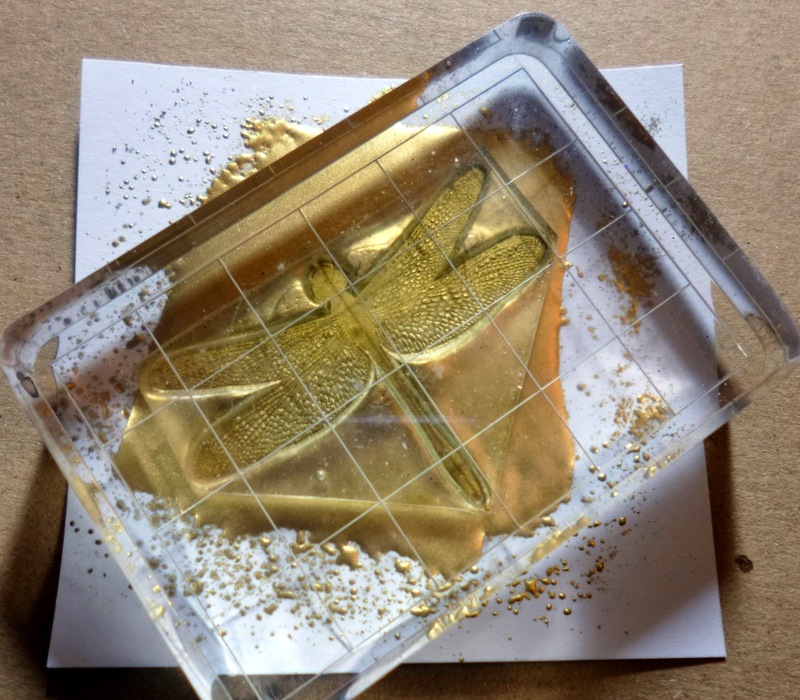 Once the wings were bend I added a tiny bit of glue down the under body of the dragonfly and stuck it on top of the impression we made in the utee. I also coloured the edges of the ripped card and added some beadazzled bead and sparkles into glue in varying sizes and I also added some tiny sparkly stones. I set this aside to dry for a while while we finish prepping the base. 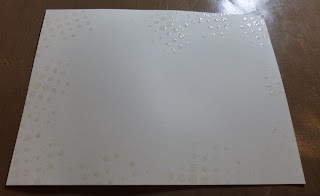 I did a double layer of white card with foam in between for the backing piece to sit on. Then the coloured sparkly piece was added to that. With the sentiment on a jaunty angle and sitting on a piece of cheese cloth too. I decided I’d add a little more of the cheesecloth poking out from under the seat the dragon fly sits on too. Anyway here is the finished piece again I really enjoyed putting this together and doing some of the fun stuff we used on this one. 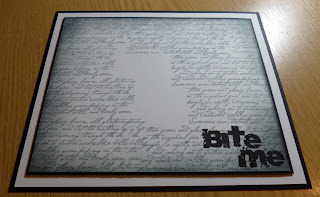 I hope you will give this a try if you have any Utee about as it really is a lot of fun, it picks up alot of details from the stamp or whatever you use to make an impression into the utee. I hope you liked this card it certainly is a little more complicated with lots of steps but hopefully you will all be able to see what I did from the pictures. What an absolutely stunning card! Loving all that texture and those colours are yummy! Fantastic tutorial for this technique… hope you’ll have a go! 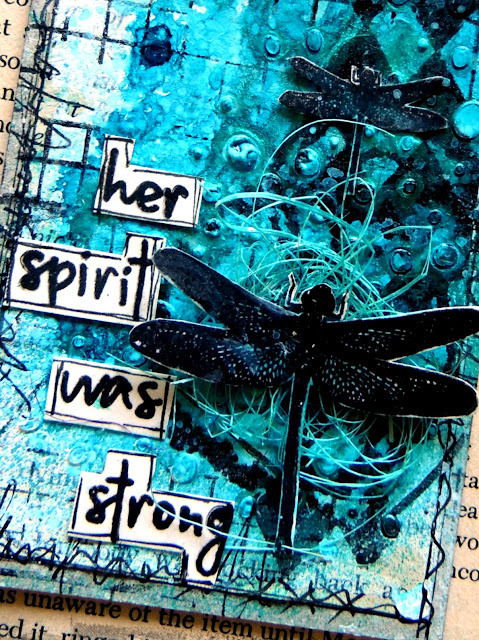 We will be back tomorrow with more Visible Image stamps inspiration from Teresa Morgan. Hello 🙂 Thank you for coming to visit us today. 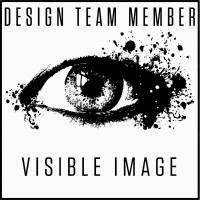 Today of course is the turn of my very special team Visible Image to be featured on our little blog. 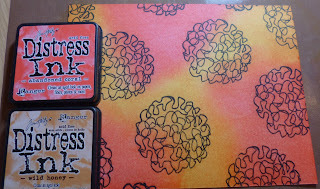 Each week I have been featuring just a couple of stamps to do some different styles of cards without using too many stamps, but I really wanted to use a few more this time… so I used quite a few on this one! A few weeks ago I don’t know if you remember but I did a card in all grey (not quite 50 shades but a few haha!) with a pop of colour, and I just love that style. It’s so elegant, so I thought Id have another go at it. I hope you like it , I really truly love this style and enjoy creating it for you all to see. 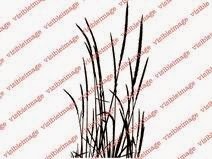 I just love the dreamy soft background effect , with the grasses billowing at the front . So to start this one I took some plain white card and perfect medium sticky ink with some clear embossing powder to create those gorgeous billowy white strands of grass which seem to sit right at the front of where your eye is pulled to look with the sentiment, below you can see that the melted embossing powder really stands proud once the inks start to be rubbed into the images. 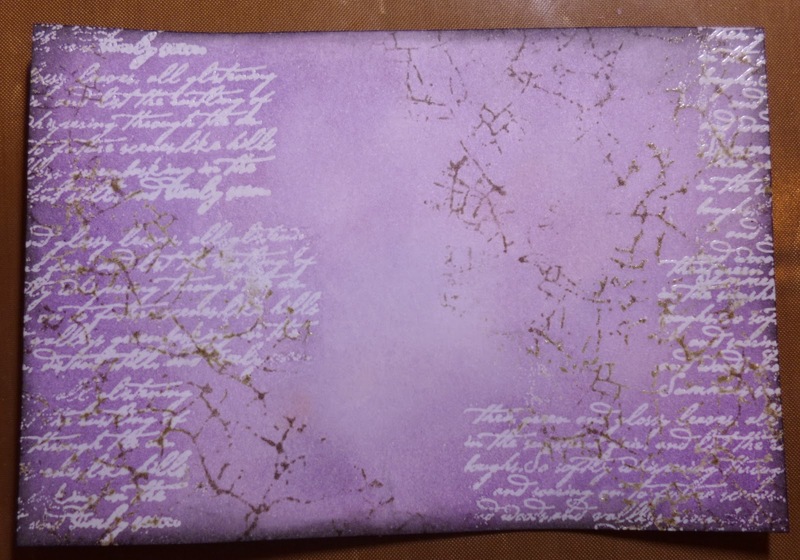 Here I moved on to the sides of the card and began stamping some of the Bronte border stamp randomly, in fact, I love this stamp so so so much I ended up putting a lot more on the card than I originally intended haha. I was using a combination of 2 different Momento Grey ink pads for this stage, London Fog and Grey flannel were the shades. 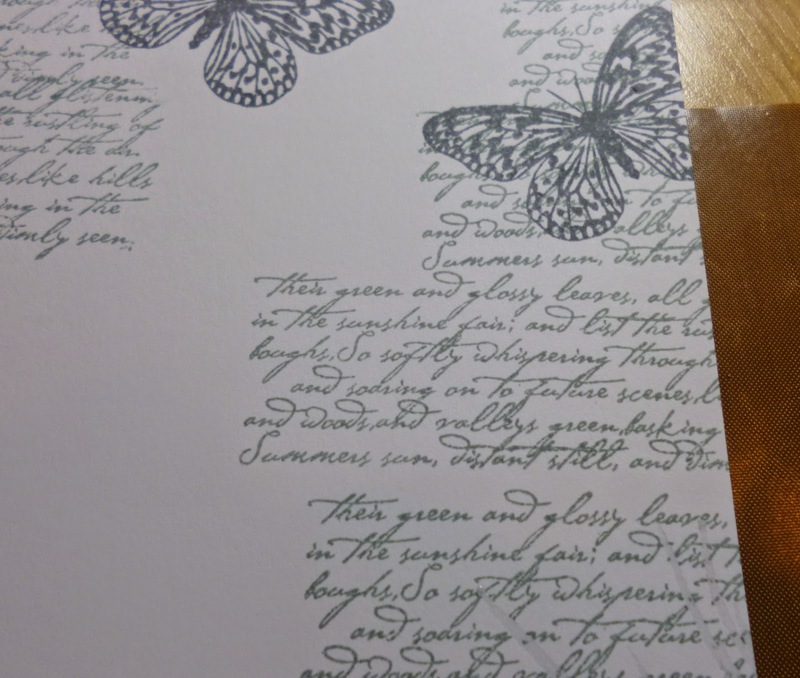 I also stamped some of the Small butterfly stamp flying off the top of the page. This is where I knew I had to leave a gap but had no clue what size haha.. 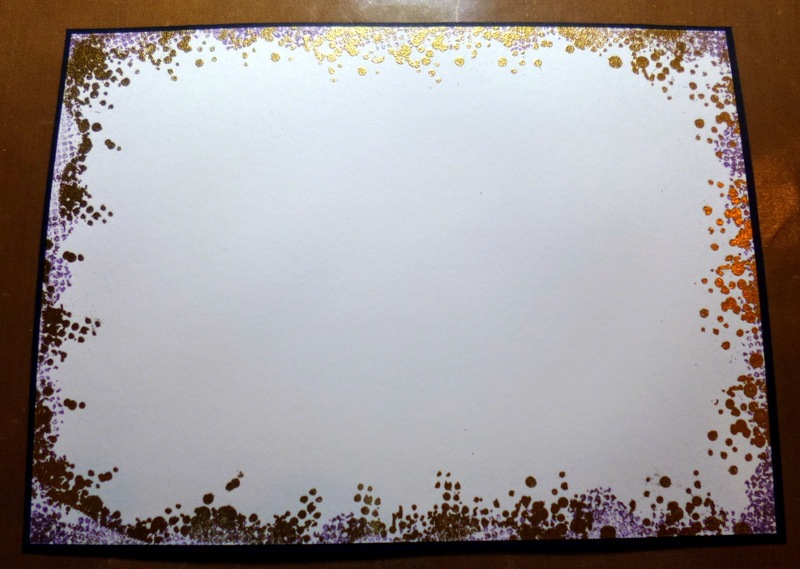 I started to add some of the momento inks to the edges to give the card a good grounding and pull the eyes to the centre. 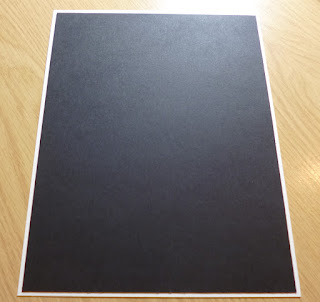 This is the first layer of ink and you can already see a huge difference cant you folks. 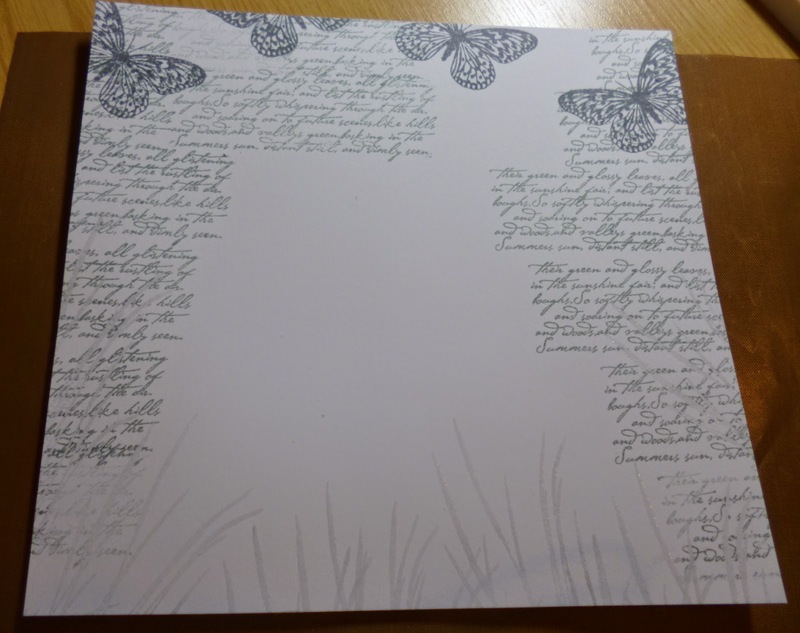 Next I used the grey momentos again, and re stamped the grass over the white embossing so that there is darker grass peeking from behind the white, I also stamped out 2 of the larger butterflies. I also took a couple of shades in the Ice greys from the promarker alcohol pen selection and drew close next to the blades of grass created before. 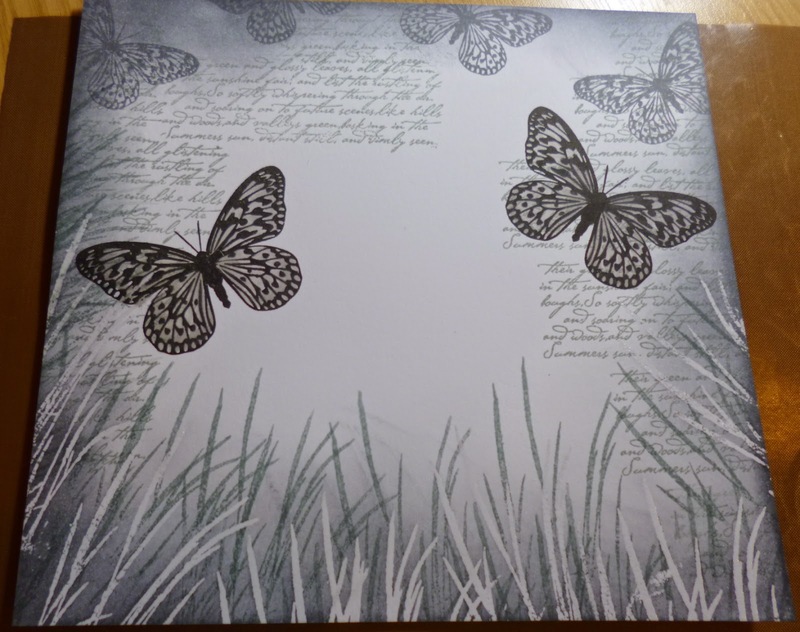 I have also given the butterflies a very small outline around the butterflies too, which again is all designed as an illusion making it look like the blades of grass could almost be walked through and I just love it all in grey scale too. 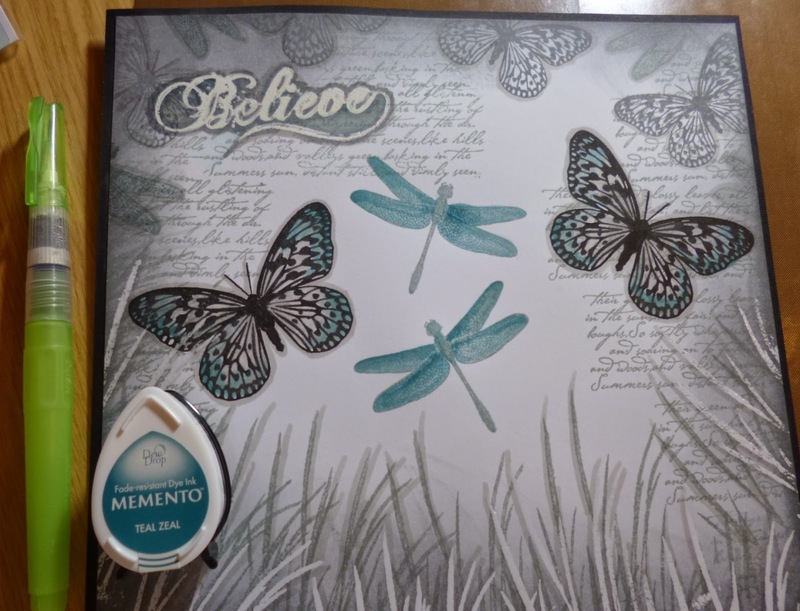 So here is where I start to bring in a little colour , I stamped out my two dragonflies, I used my momento ink and a water brush to pull out a little colour and add some little extras to the butterflies too. 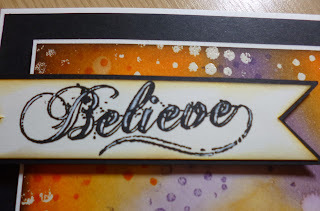 I also stamped the word believe from the Follow your dreams set, I again used my promarkers in a few shades of ice grey to make it pull off the page a lttle. 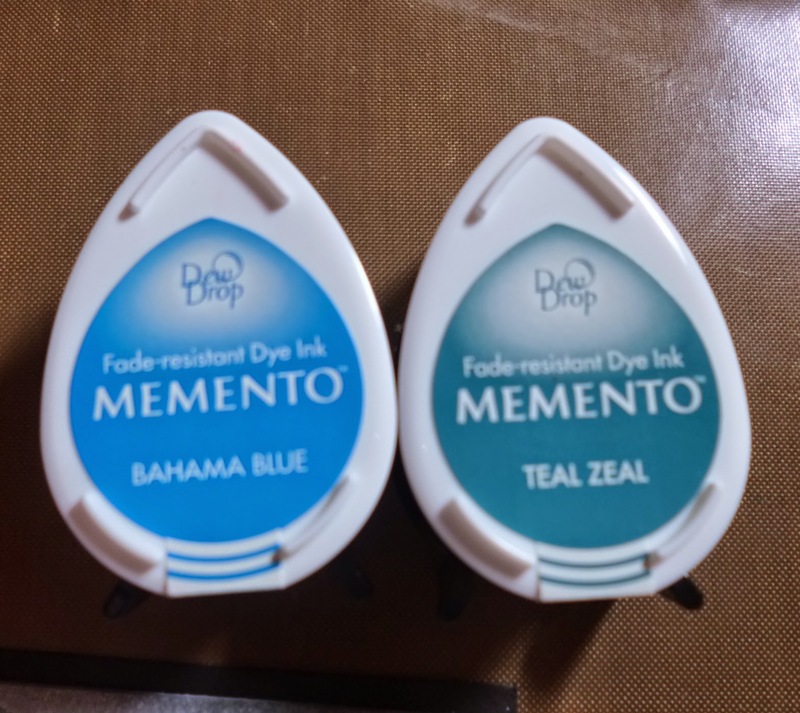 Here are the two blues I used to pull in some colour on the dragonflies etc. 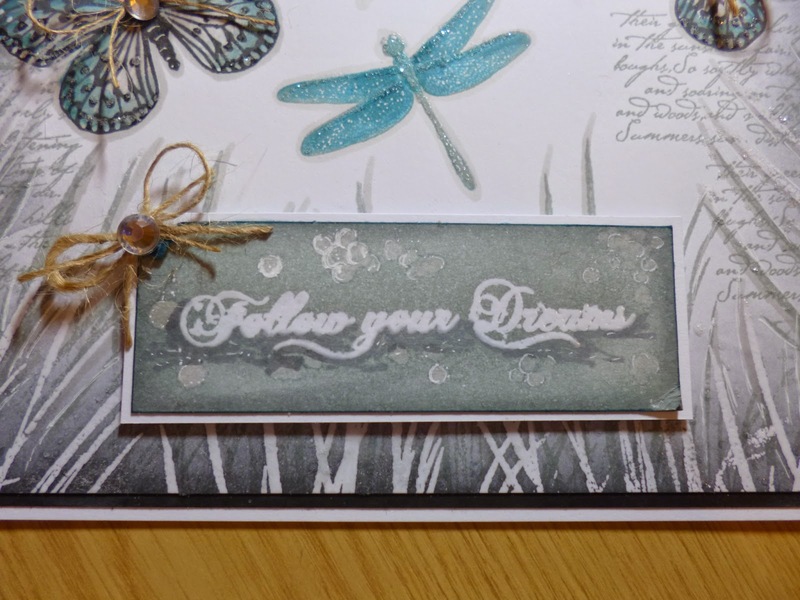 I also stamped out the other sentence in the little Follow your dream set, and rolled up the corners a little flicked some water and highlighted the edges of the little circles to make them look like bubbles. I used a white gel pen for that. So the last couple of pictures were just a few final finishing touches really, with the tiny burlap bows with the little sparkle stones for the centre. 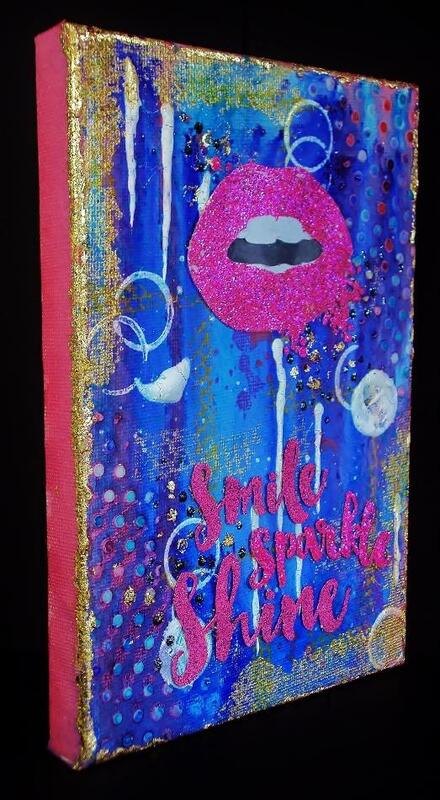 I added the sentiment onto foam and added it to the card and used bucket load of glitter onto some glossy accents but as per usual you cannot really see too much of the glitter picking up the light through the screen but this one really does sparkle lots. 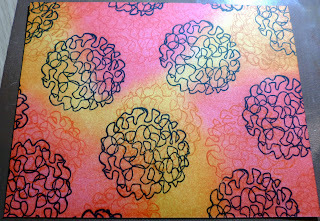 I was really please how this card came out you could do this style with any colour, using just a couple of shades of a bland colour on its own, but as soon as you add the colour it really comes to life. I said I used a few! 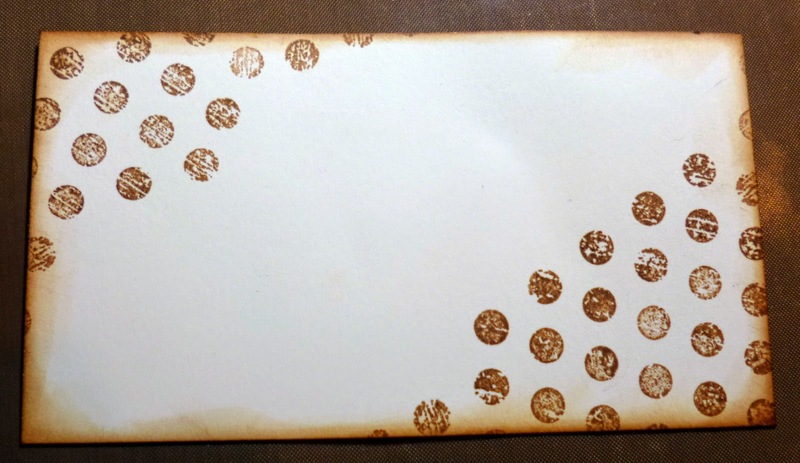 So I hope you will dig out whatever stamps you have, and have a go at creating something like this with a sepia background or a black and white background. Or maybe you will attempt the grey scale, it truly is great fun to try and looks stunning with just that suggestion of colour. 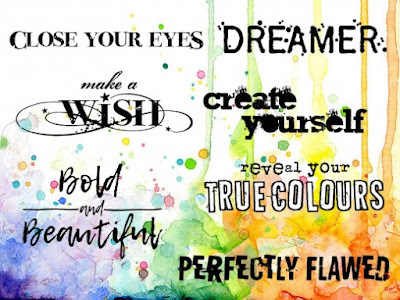 I would love to see your finished pieces, so do not hesitate to show off your work in our Facebook Group… there’s a monthly show & tell challenge for your chance to WIN some gorgeous stamps! WOW! Kim this is stunning! LOVE this effect! 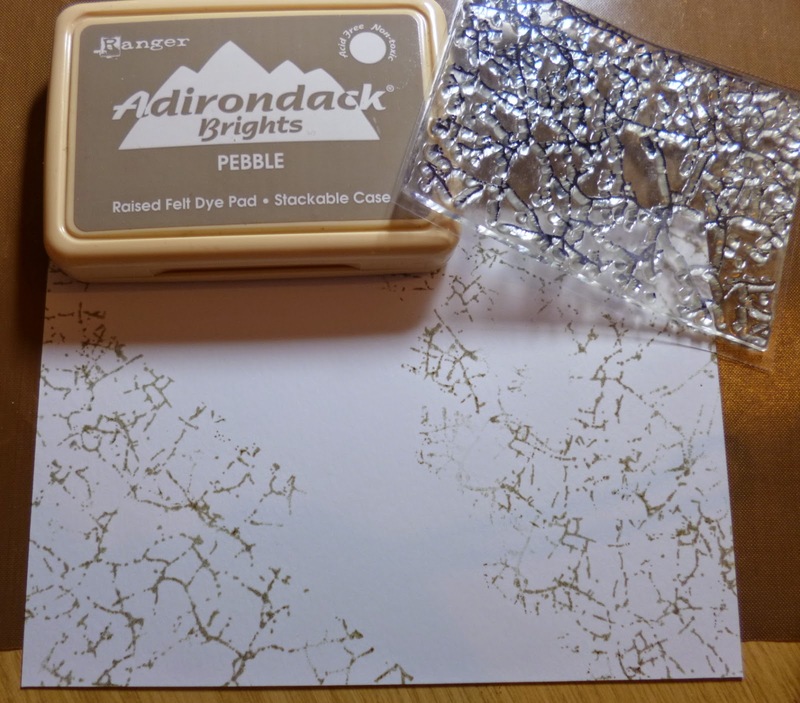 Gorgeous card and a brilliant tutorial… thank you so much! If you have missed any of our recent Design Team posts, you will find them all HERE. If you would like to apply to join our Design Team you can find all the details HERE! We have received so many awesome applications already… so much talent to choose from. We’re very lucky! 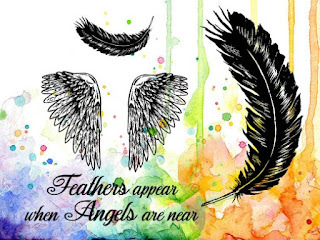 We will see you here tomorrow with an awesome new card from Teresa Morgan! 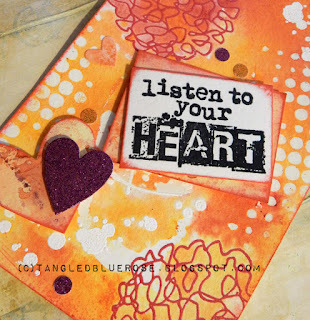 Thanks for coming to check out today’s gorgeous inspiration from Amber Kroening! Hey there! I’m back today with another Visible Image card. 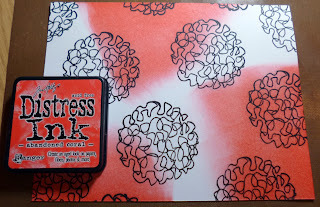 I started by stamping the Grunge Polka dots in pink ink onto a white card front. 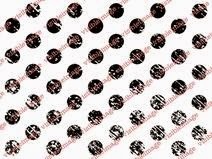 I stamped the smaller dots, in black, over the pink dots. I stamped the chandelier in black pigment ink and used clear embossing powder to heat emboss it. 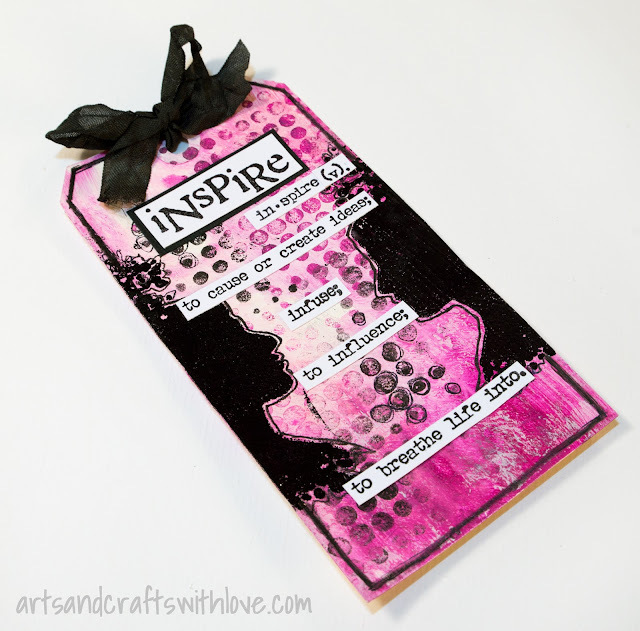 I stamped my sentiment in black, added some pink shadows, cut it out, and drew a messy border. 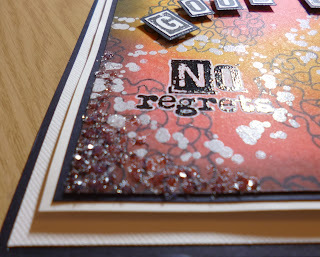 I added three enamel dots to the sentiment and adhered everything to a black card base. Don’t forget to join in on our April Show and Tell! For more Visible Image inspiration check out their Facebook group, and Blog homepage. Woweee gorgeous card! 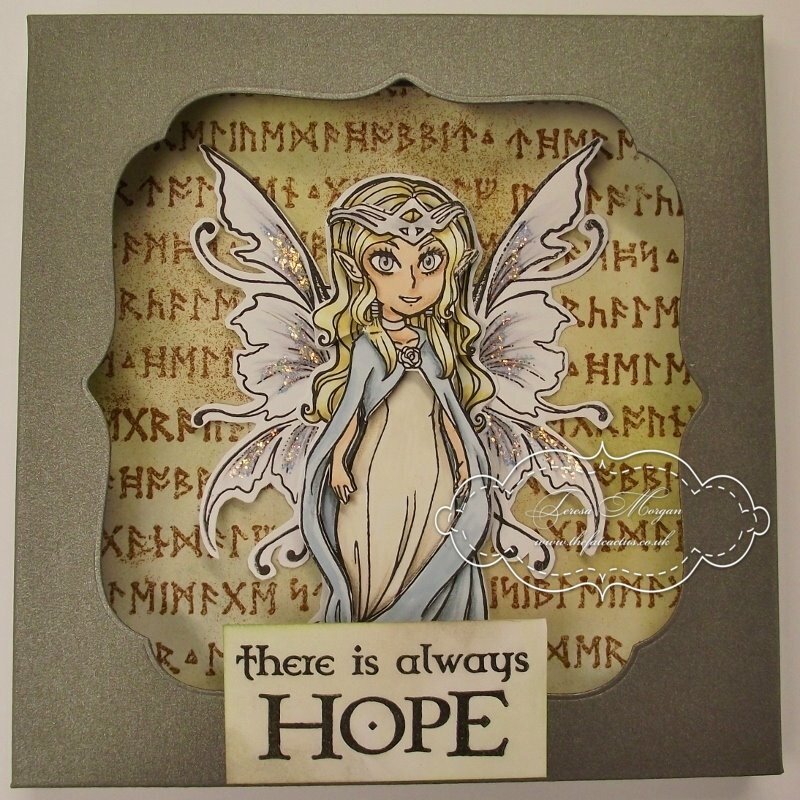 You’ll find more of Amber’s fabulous work over on her blog. Have a fantastic weekend and we will see you here on Monday! Hello There 🙂 Thank you for coming to visit us here on the Visible Image blog today! Hope you are having a good weekend. We also missed yesterday’s Fabulous Friday post by Pauline 🙁 BUT… Here it is a day late, and it’s definitely worth the wait! 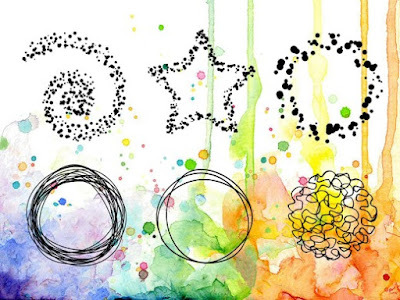 I hope you are feeling crafty and well. Today I’d like to share a couple of cards that I made recently, using some unique Visible Image Stamps. 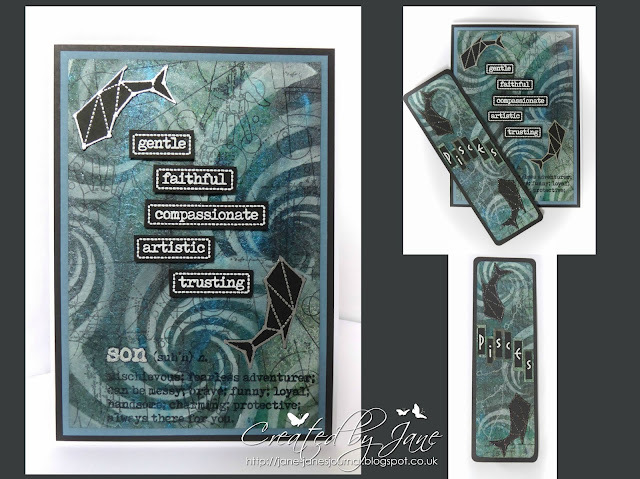 I created these cards for 2 workshops I was luckily enough to conduct, on behalf of Visible Image, at a fabulous shop in Studley,Pink Tulip Creations Ltd. 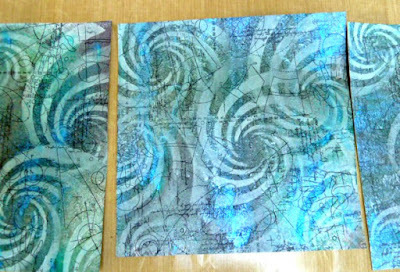 I had a fantastic day, showing a group of lovely Ladies, the quality of the Visible Image Stamps, along with a few techniques using Distress Inks and heat embossing. Thank you to Sheila, (the owner of Pink Tulip), and her two right hand women Tracey and Angela, for organising such a great day and looking after me too. The stamps used on this card are the Colours of the Wind set. And on this card I used Feel the Beat, Soul Music and Plasma. 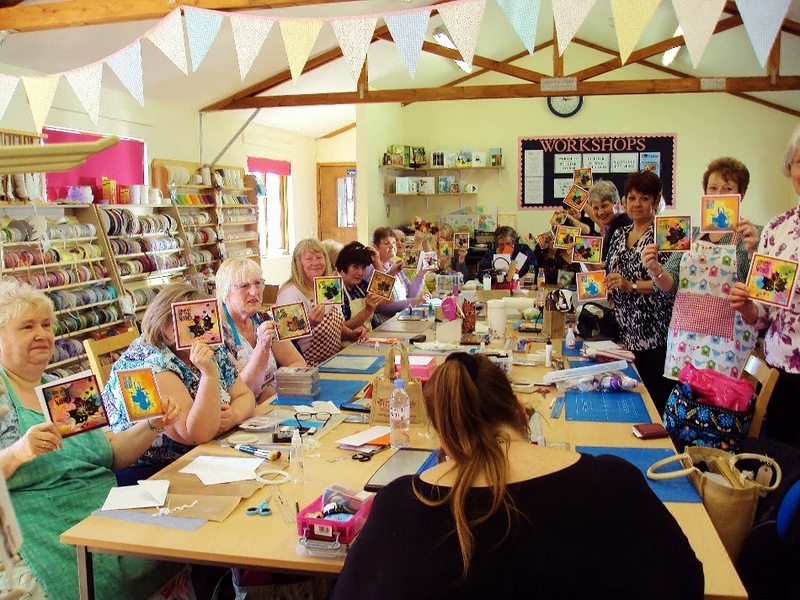 The workshop Ladies made such fabulous cards, they are a very talented group, thank you for putting up with me, and my warped sense of humour lol, I hope you all had as much fun as I did. 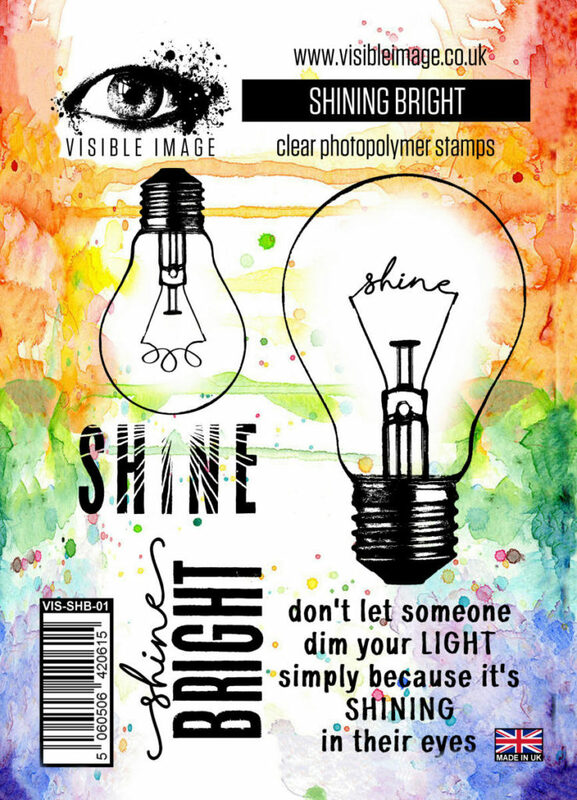 Do pop over to the Visible Image ‘Show and Tell’, take a look at the wonderful works of art that people have made with the awesome stamps, it’s not too late to enter your creation, for a chance of winning new stamps. 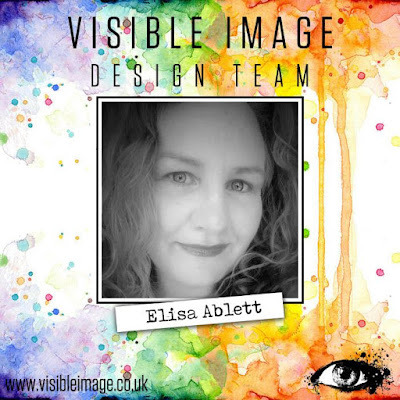 Check out the Visible Image Facebook Group, if you haven’t already, there’s a friendly buzz going on there, with loads of inspiration along with some spot competitions. 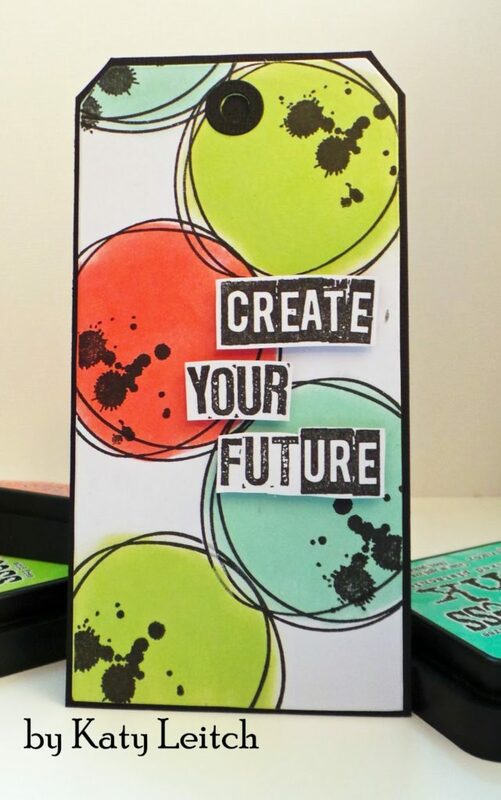 These cards are both awesome, and we know all the ladies had a fantastic day creating them with Pauline 🙂 You’ll find more of Pauline’s inspiring work over on her blog. Did you all have fun over the weekend on our Facebook page? Were you one of the lucky winners? If so, congratulations!! 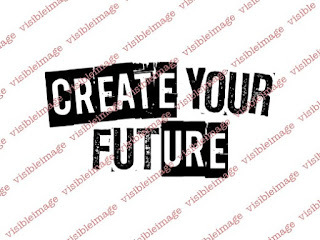 We certainly enjoyed seeing all your fantastic Visible Image projects!! 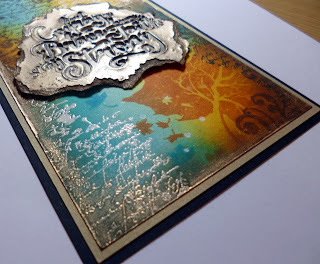 On to my project for today – I wanted to try out the new Ranger ‘Sticky’ embossing powder and metallic foils and thought that the Large Winter Tree stamp would be perfect for creating a foiled border around my card. To start, I used Peacock Feathers and Vintage Photo Distress Inks to colour my card, love this combination, so rich and warm! 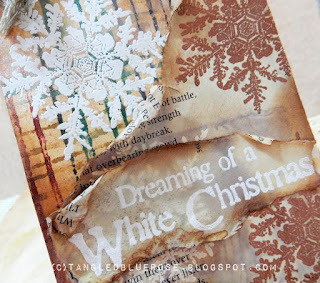 Then I stamped the tree around the edge with more Vintage Photo ink. 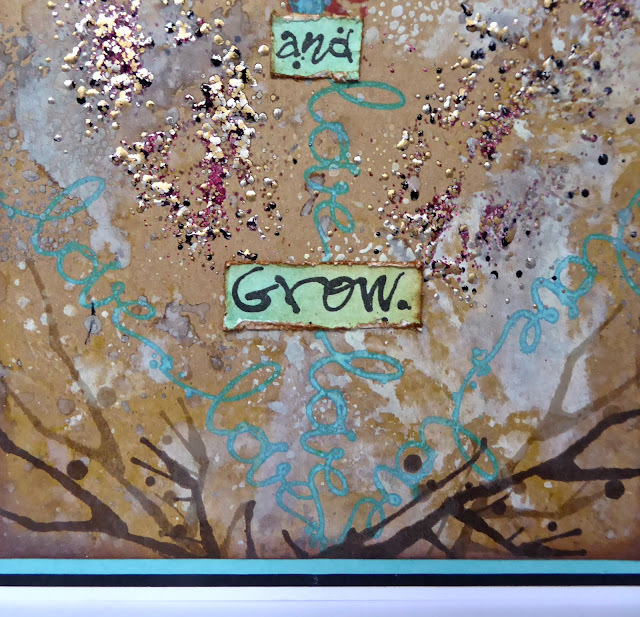 A quick blast with my heat tool to ensure the ink was dry, and I stamped the tree again with Versamark ink and used the Sticky embossing powder (which is actually glue, not embossing powder) and some copper foil. 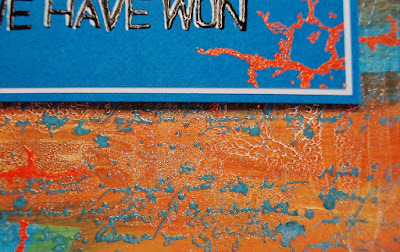 This was matted onto Copper pearl card. 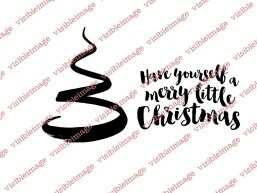 I inked up a small piece of card and stamped the sentiment from the Cheshire Cat set. 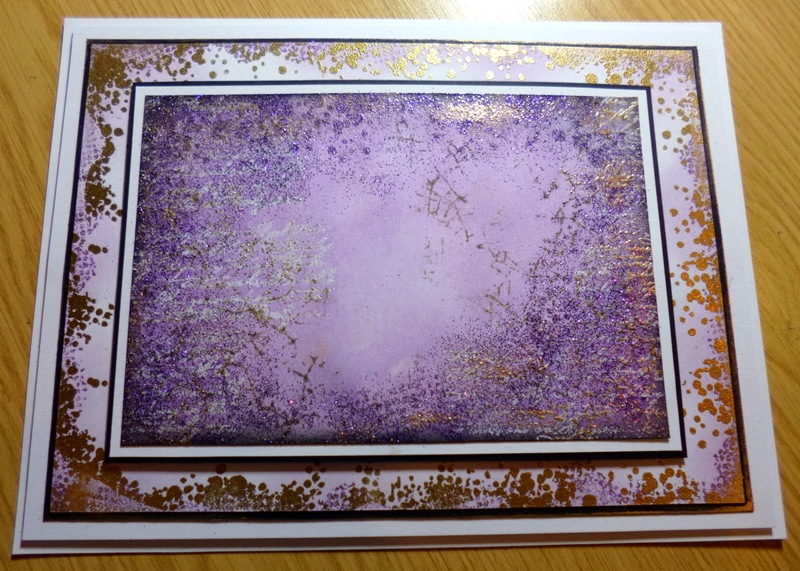 I edged this card with Black Soot Distress ink and added some foiling, before matting onto more copper pearl card. 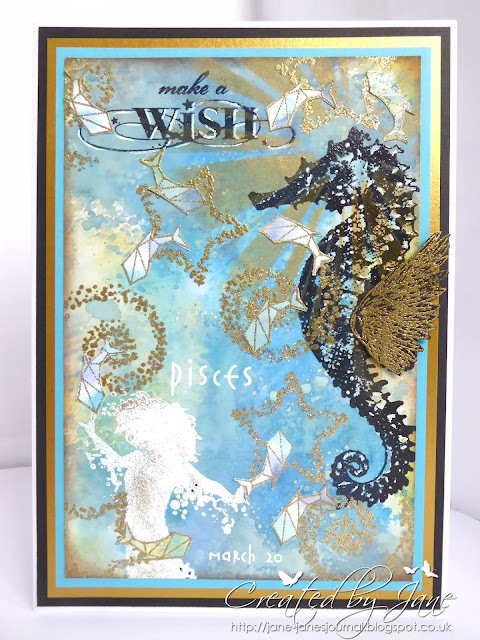 Fantastic card Teresa… love the gold against the gorgeous turquoise. 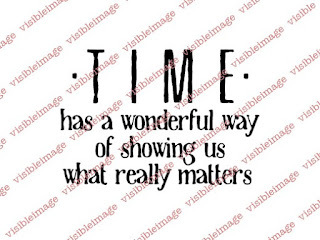 This is such a fabulous sentiment from Alice in Wonderland of course! 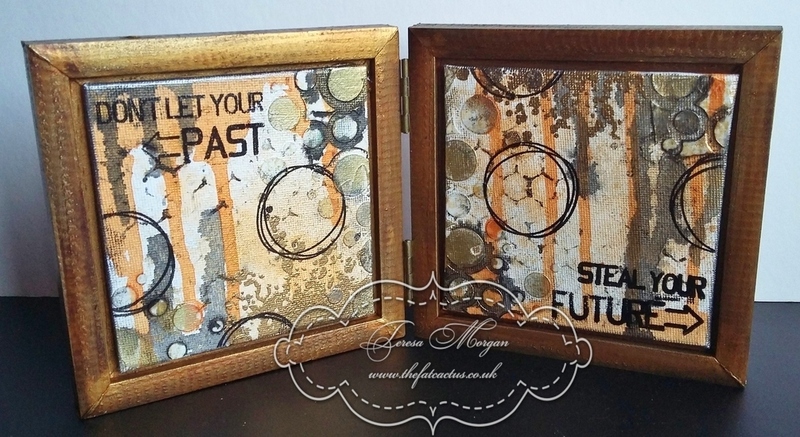 You’ll find more of Teresa’s inspiring work over on her blog. We’ll be back tomorrow! Come and see us! Apologies for missing yesterday’s posts, been catching up with orders and having some internet issues! I hope you are all enjoying your week and that you are getting some nice sunshine , it has been so very nice to get out of work at night and still see the sun streaming through the trees. After last weeks quite complicated tutorial I thought this week I would do something a little simpler for folks in the clean and simple vane. 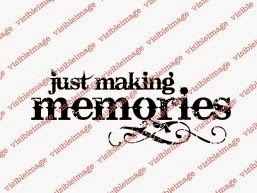 I used three stamps from Our Visible Image Friends and they will of course be listed below or if you have any similar or you would like to substitute one of your favourite quotes or sentiments it is just another way of doing a very quick but smart card to give to someone special. 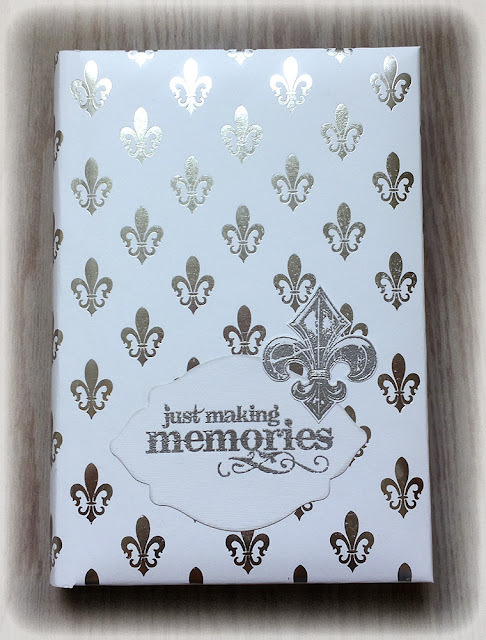 It is funny isn’t it , when we make cards/ gifts we all seem to put our heart and soul and a bit of ourselves into the design and the way we compose it for that person , I feel like I am making it for all of you when I do them as I share the details so much with you all. Here is today’s card and I hope you like it. 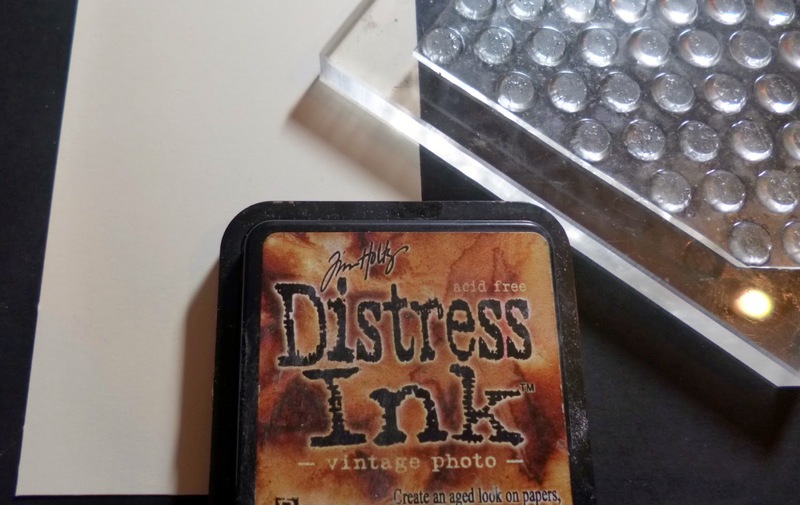 I used two distress inks on this one in Vintage photo and Seedless Preserves. I used off white and black cardstock. Lots of matting and layering with foam in between too. 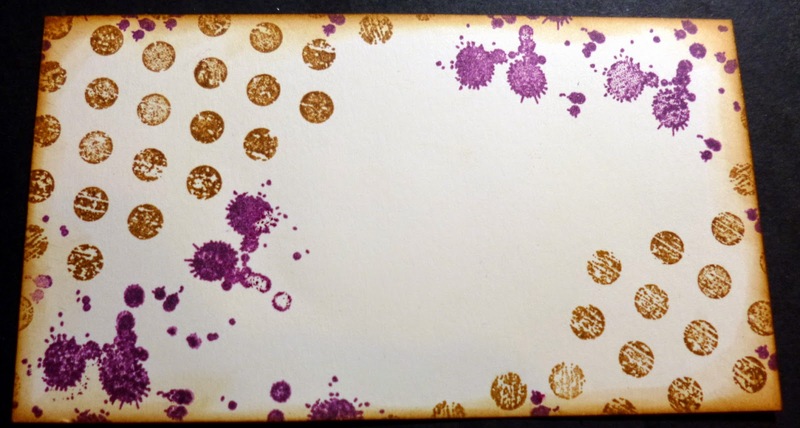 I then took my Ink Splat stamps and used a few different ones with the purple Seedless preserves DI and stamped that randomly, I did keep in mind the sentiment would be around the centre and it would be good to still see some of the inking once attacked to the card etc. 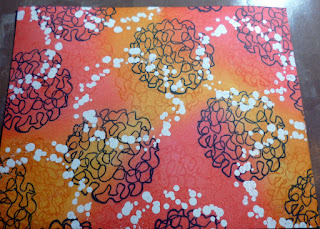 I then matted this onto another piece of off white and another larger mat again in off white and then a black layer. Here you can see the above mat and layers and how it is starting to sit together already. 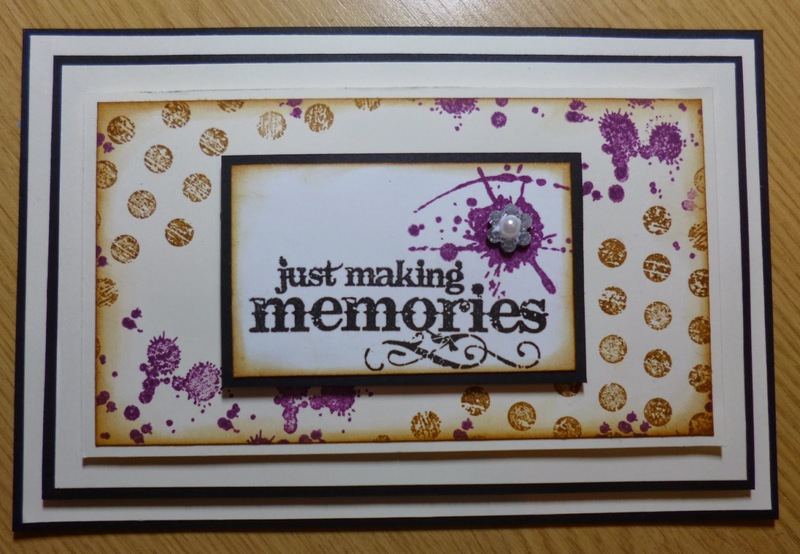 I took a left over piece of the off white card and stamped my Just making memories sentiment which I adore in Versafine black ink and added one of the purple large splats to it, I used some of the Vintage Photo to edge this piece as before and then mounted it onto black card. 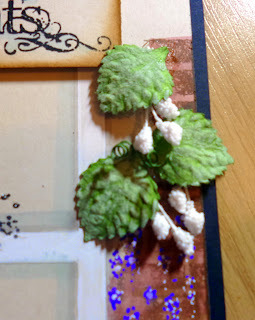 Here are two more photos of the card up til now just as I am choosing which way I will go for this one with embellishments. Sometimes I love to match lots of accessories to the card and other times I just want to leave it clean and speak straight to the point and I believe this is in the later category this time. I added a couple of small sparkly stones to the corners and a twine in matching purple bow with a sparkly and pearl stone to cover the knot and another of the same sparkle with pearl in the centre to the large splat on the sentiment. I also decided on one more layer of the off white and black layers to finish off and give the card some real height and dimension after all clean and simple doesn’t mean boring and bendy does it folks hehehe. 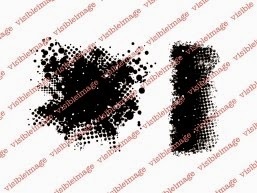 Ok so the stamps I used from my good friends at Visible Image are listed here. So you can see how simple it all came together once it is broken down can’t you? 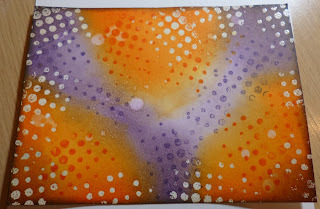 Perhaps you can tell me whether you like the mix of tutorials I do each week or if there is a particular type you like best, maybe paper pads or inky ones , maybe the embossing techniques or paints and colour etc, let me know in the comments if you would like too. Here again is the finished image.. I wish the camera picked up the vibrancy of the cards made but it really does not pick up how fresh and bright a card is or the sparkle we like to add sometimes it just does not matter how many pictures you take it just does not translate so well to the computer. However I hope you enjoyed this tutorial, thank you for stopping by and looking through. I will see you next week with some more inspiration. Love and hugs to all the lovely folks. 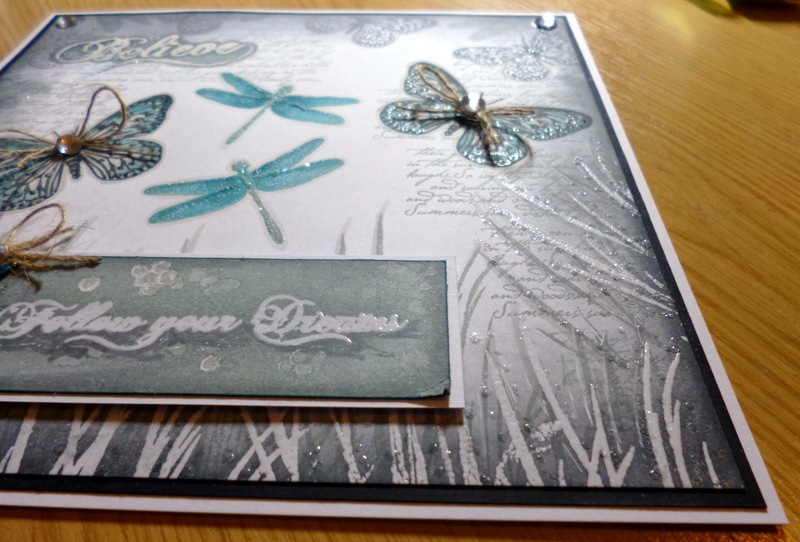 Thank you Kim for your brilliant tutorial… gorgeous gorgeous card. 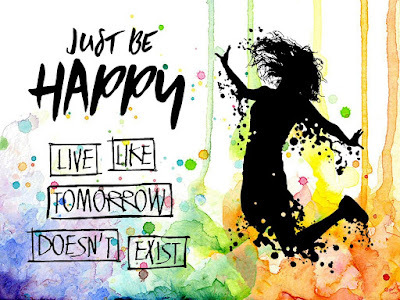 Fantastic background… don’t you just love this sentiment? 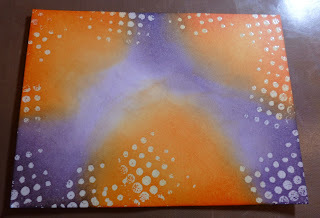 You’ll find more of Kim’s stunning work over on her blog.